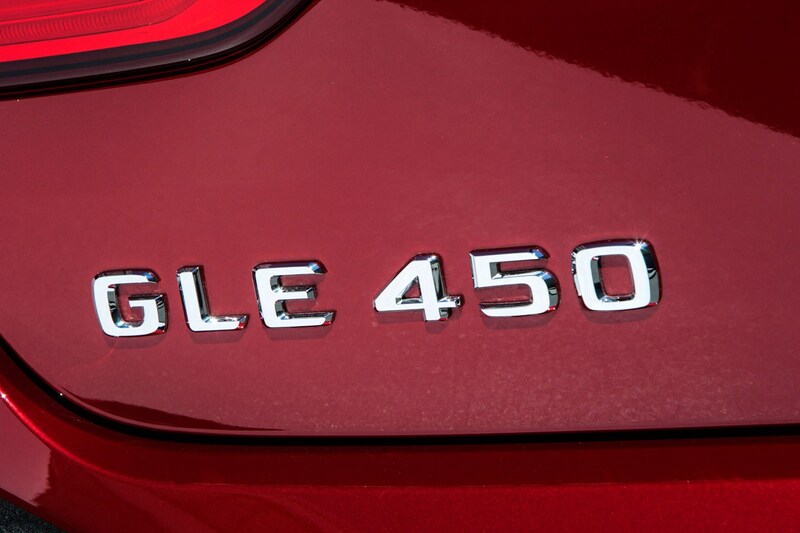 Insurance group: 45 - 50 How much is it to insure? 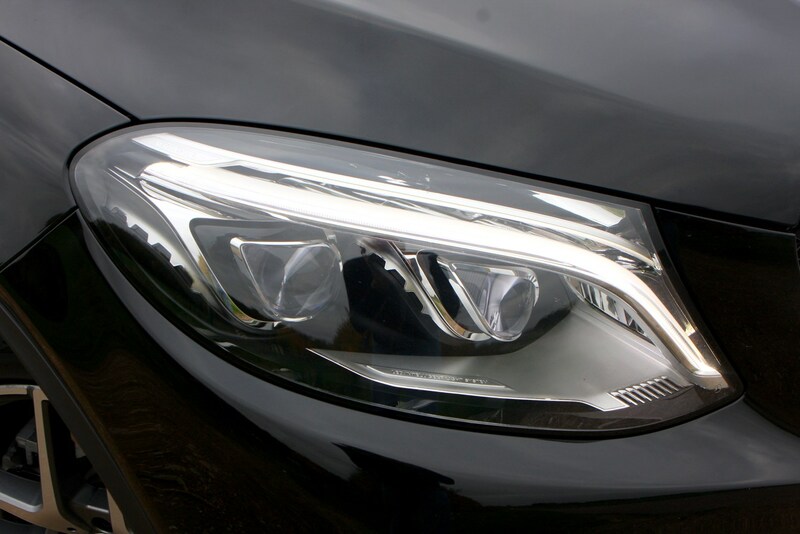 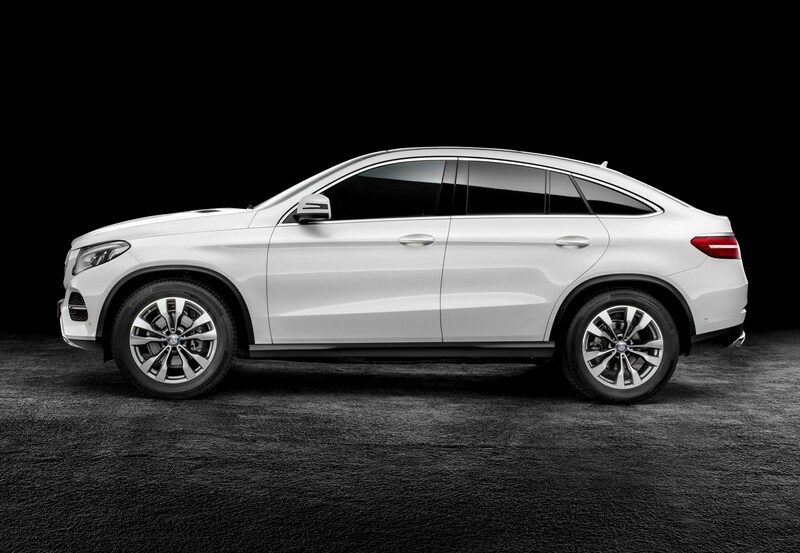 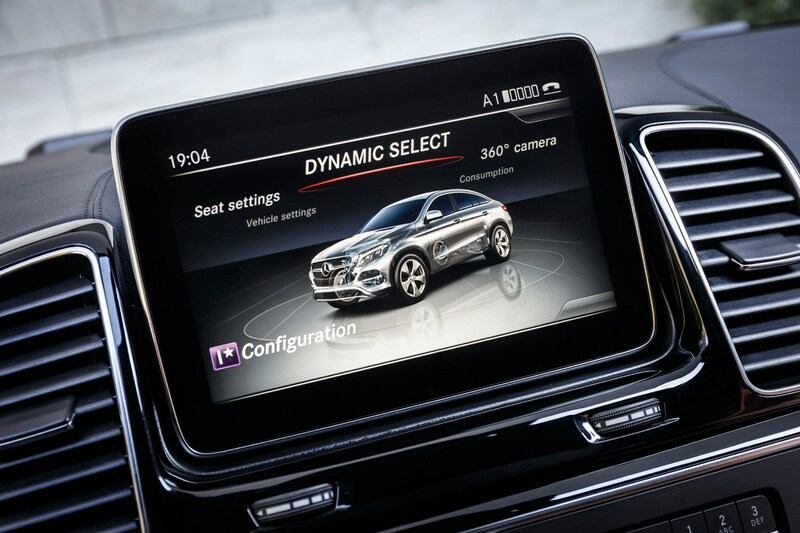 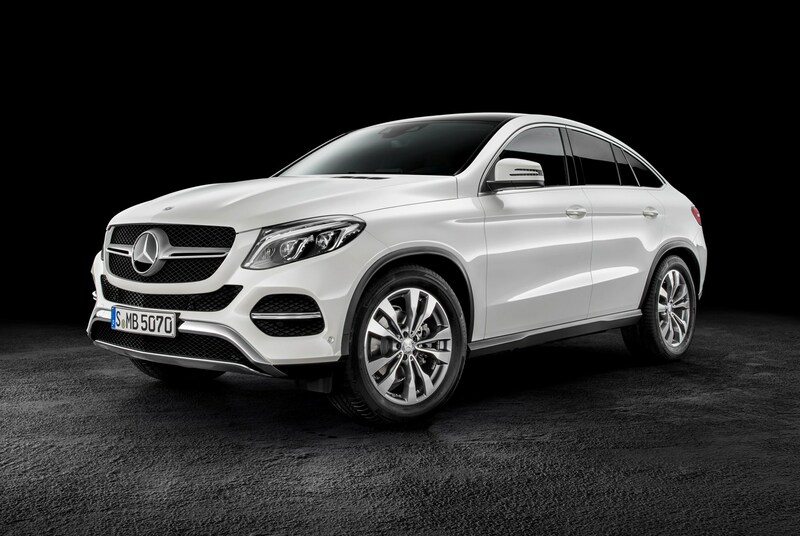 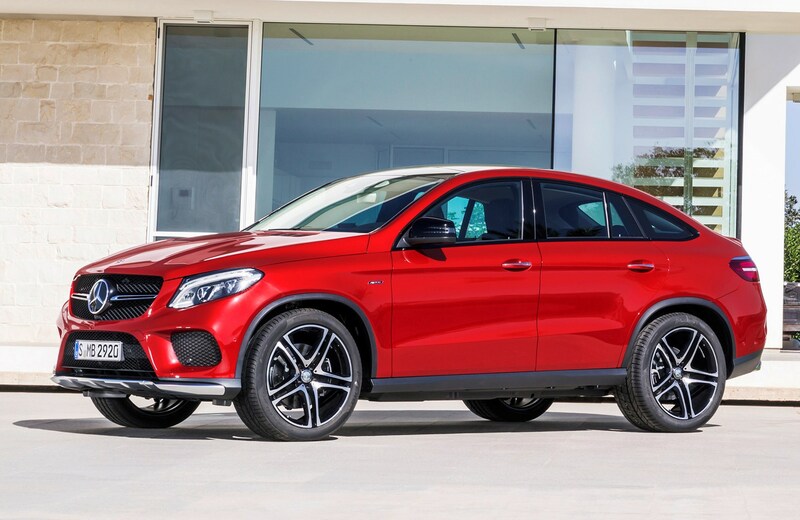 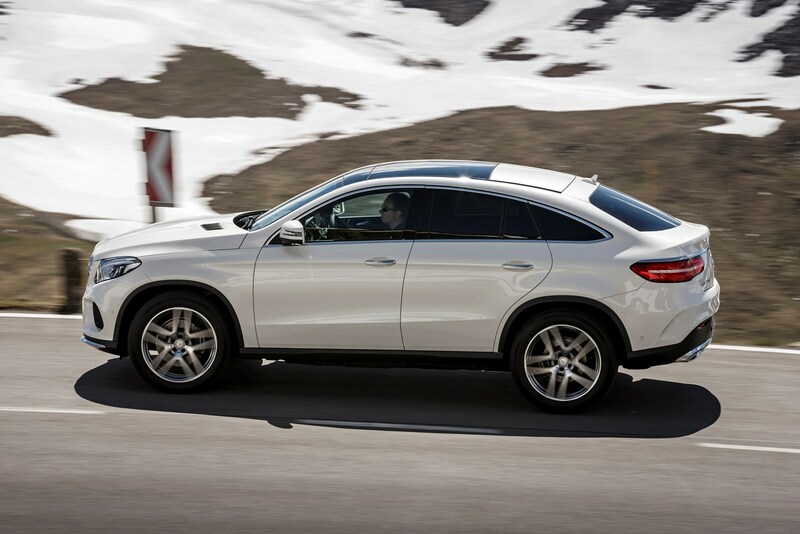 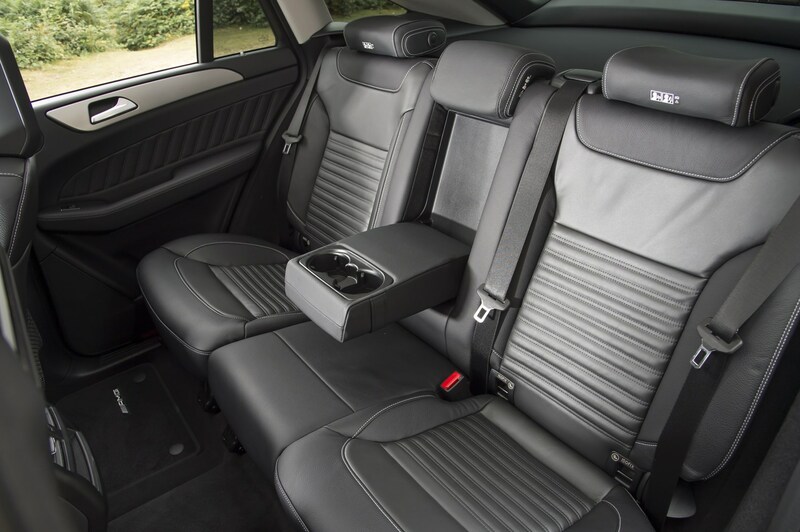 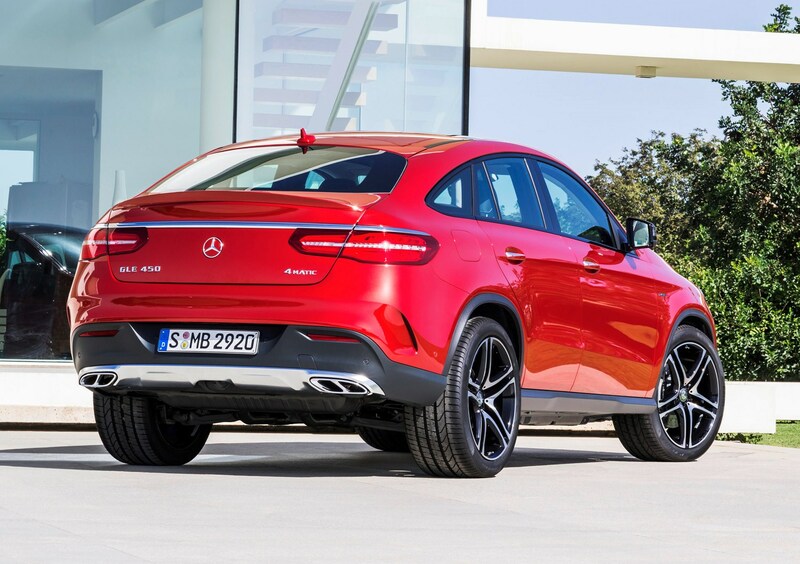 As you can see from the pictures, the Mercedes-Benz GLE Coupe is a direct rival to the BMW X6 – a five-door car based on an SUV but styled like a coupe with a sloping roofline. 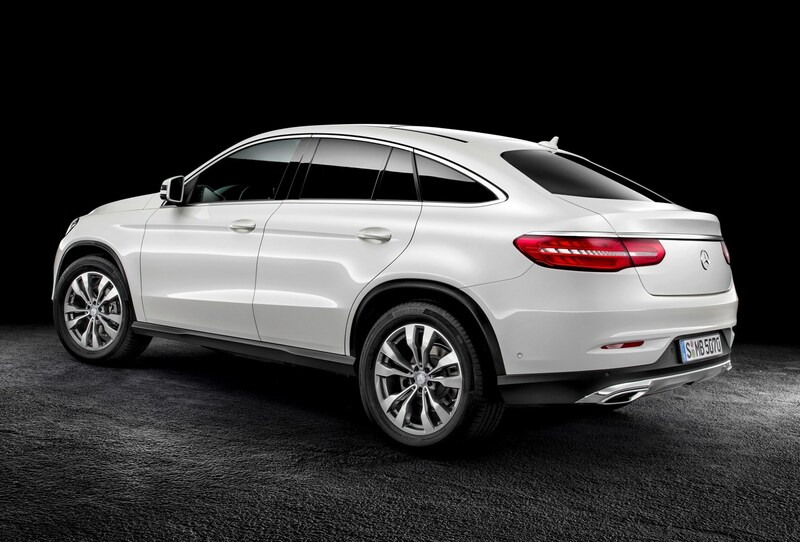 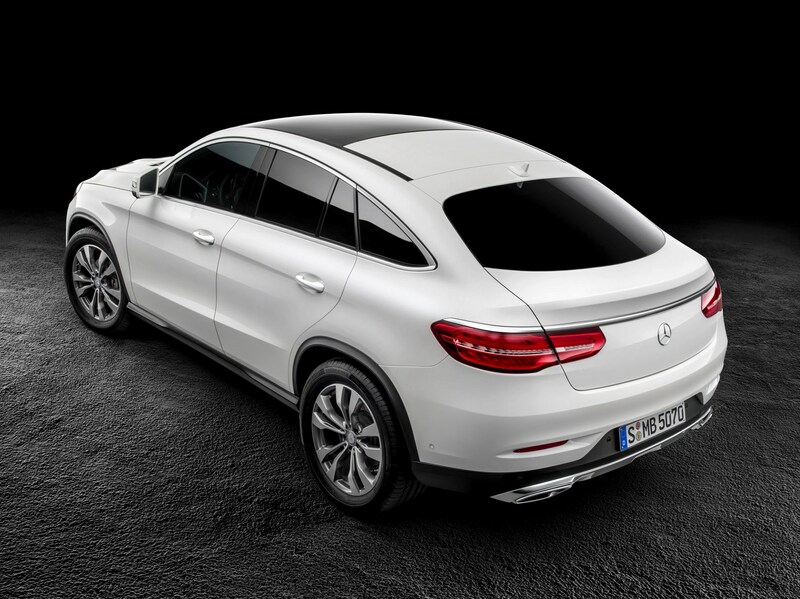 However, where BMW’s version borrows much from the X5 4x4, the Mercedes-Benz GLE is the base for this new Coupe model. 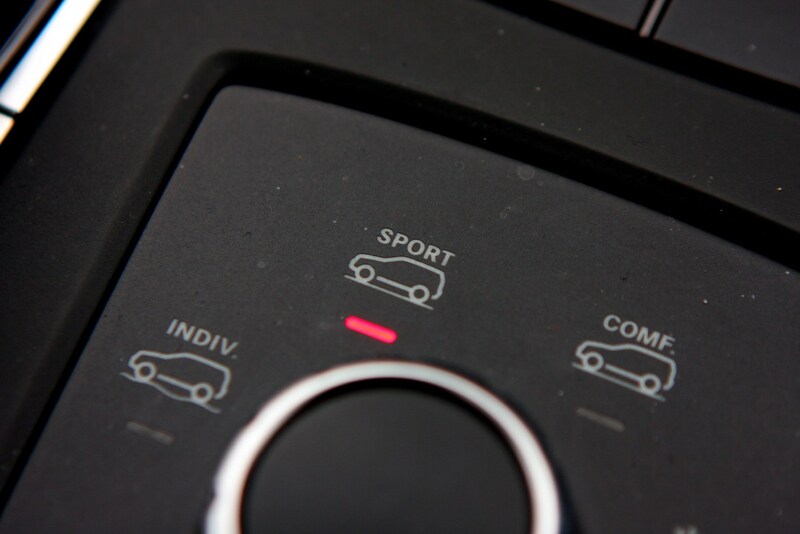 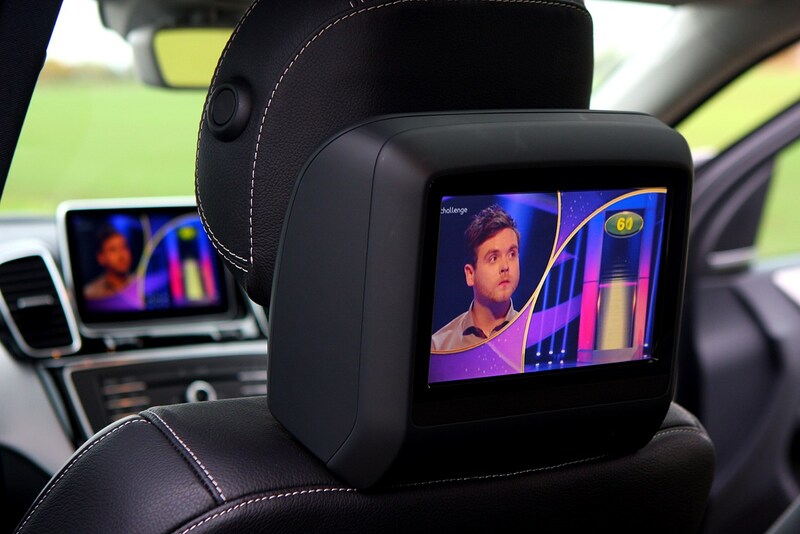 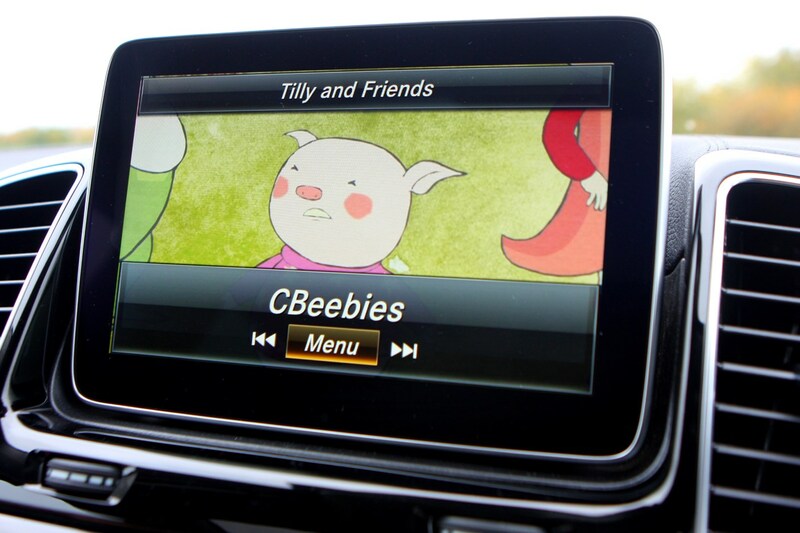 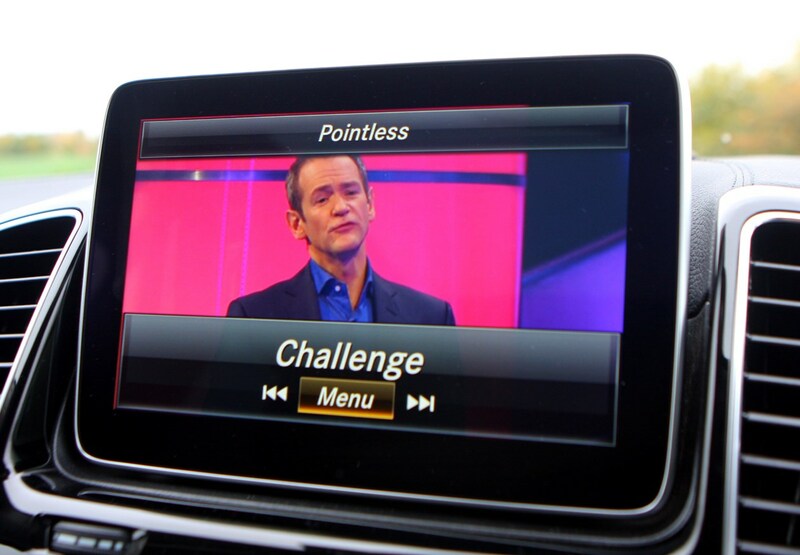 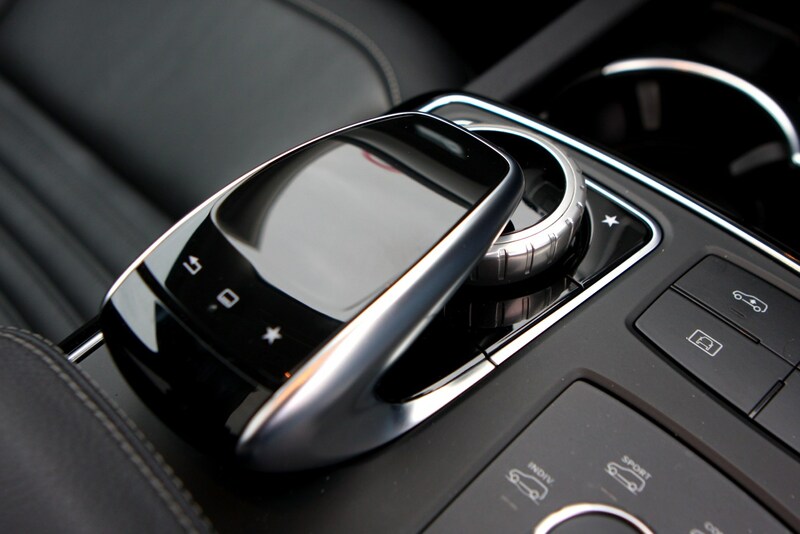 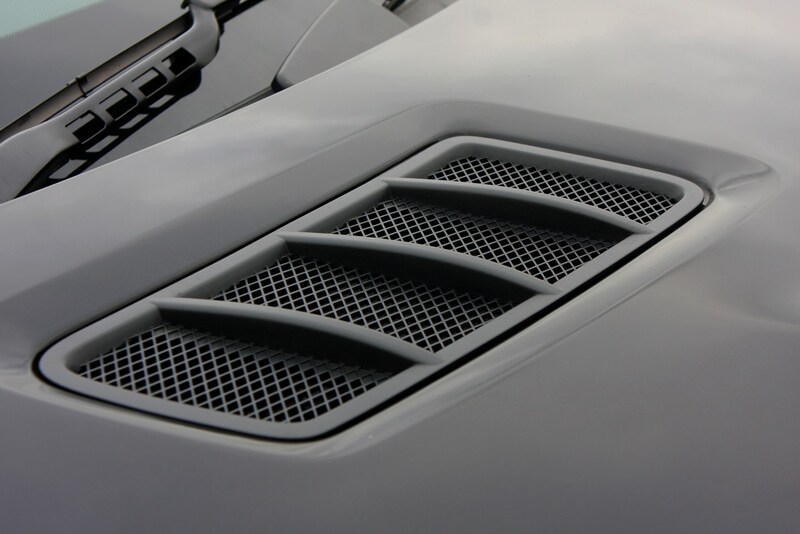 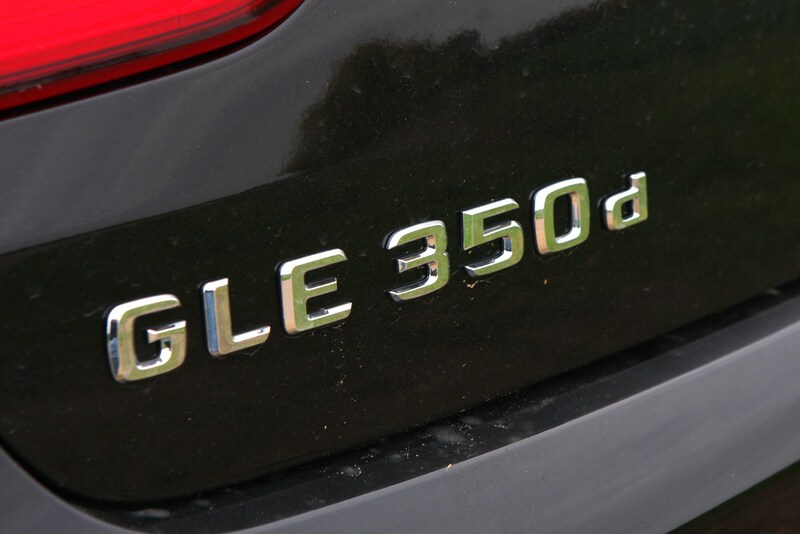 Other rivals include the Porsche Cayenne and the Land Rover Range Rover Sport. 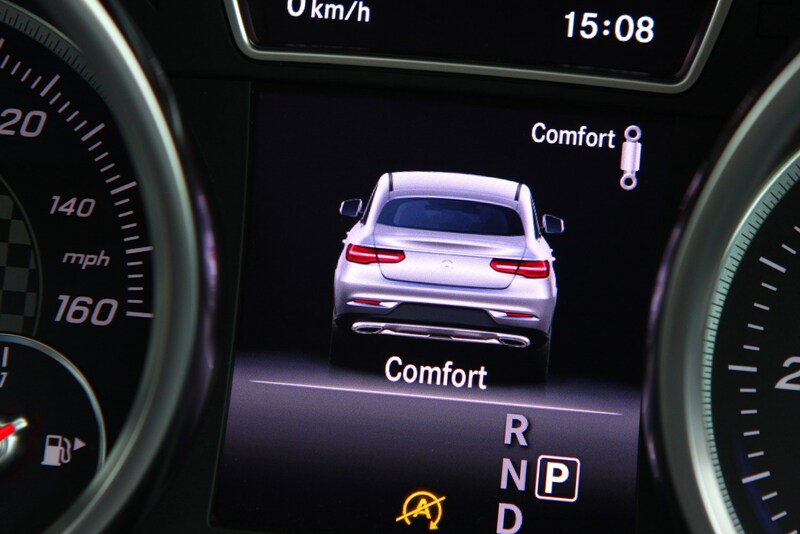 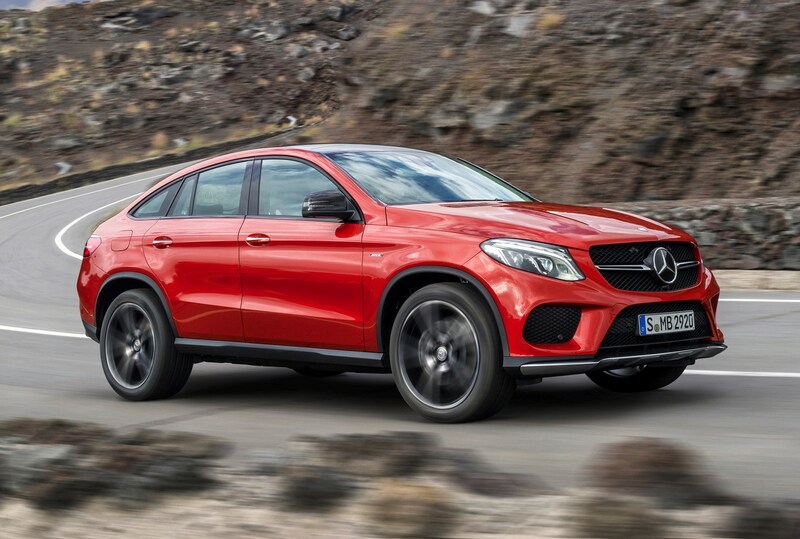 It’s available in both ‘normal’ GLE Coupe with two engines, and hot Mercedes-AMG GLE 63 configurations - the latter offering stunning performance along at the expense of running costs. 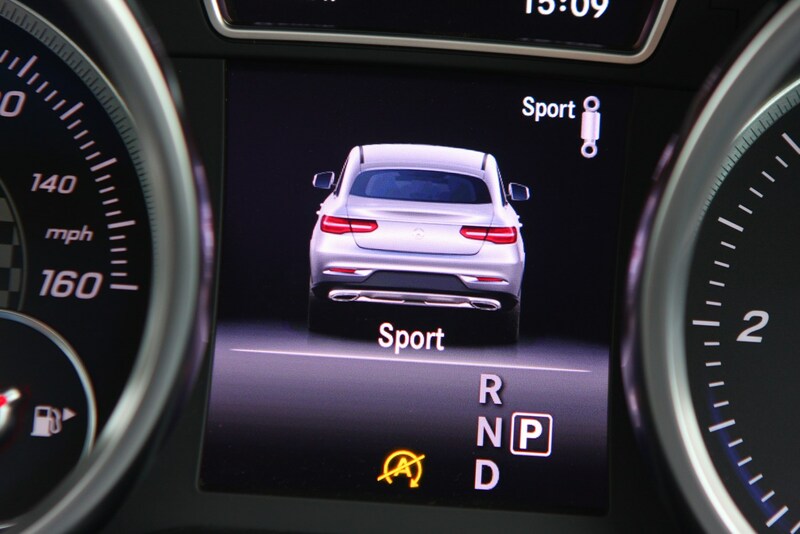 This is covered in a separate Parkers review. 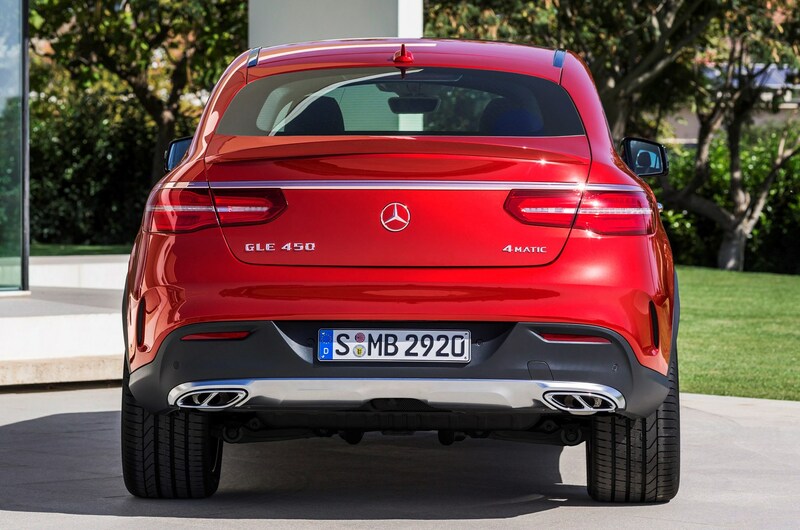 With looks that divide opinion between aggressive and plain obnoxious, this is a car that can’t help but make a statement. 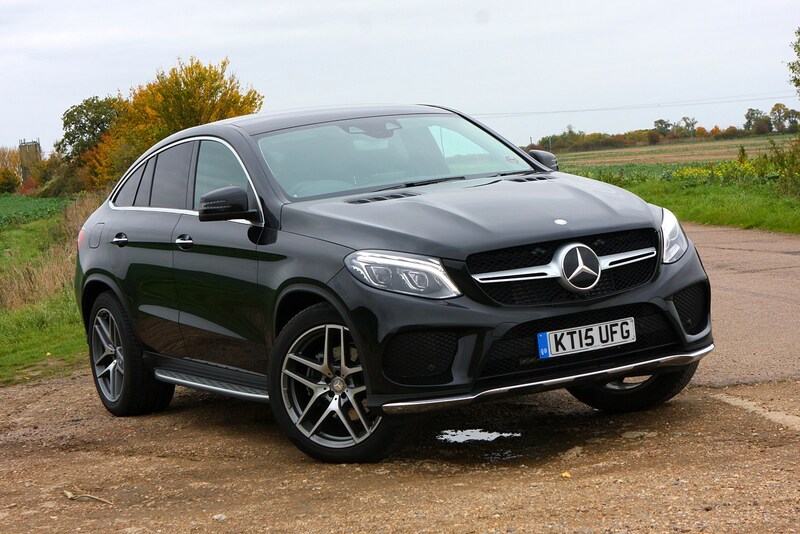 Unfortunately, compared to rivals, its ride, handling and interior finish don’t quite tally with the best in class; so while the GLE does make a compelling proposition – and an interesting one on paper – in the real world it’s difficult to recommend over its competition unless you’re really set on that Mercedes styling and badge cache. 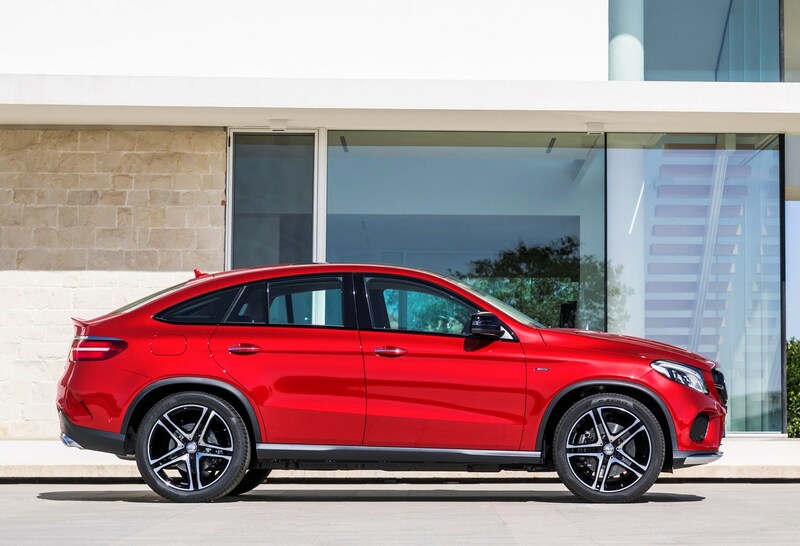 Sales predictions reflect this, with the German manufacturer expecting to sell five times more GLE SUVs than Coupes. 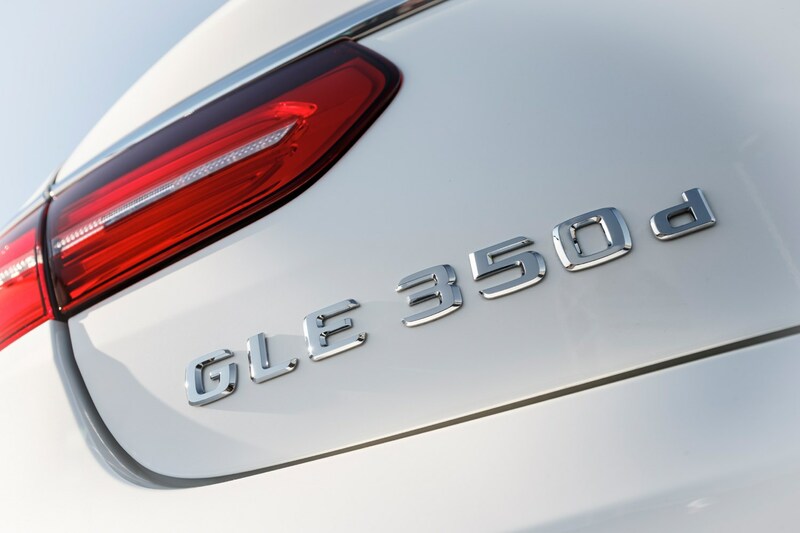 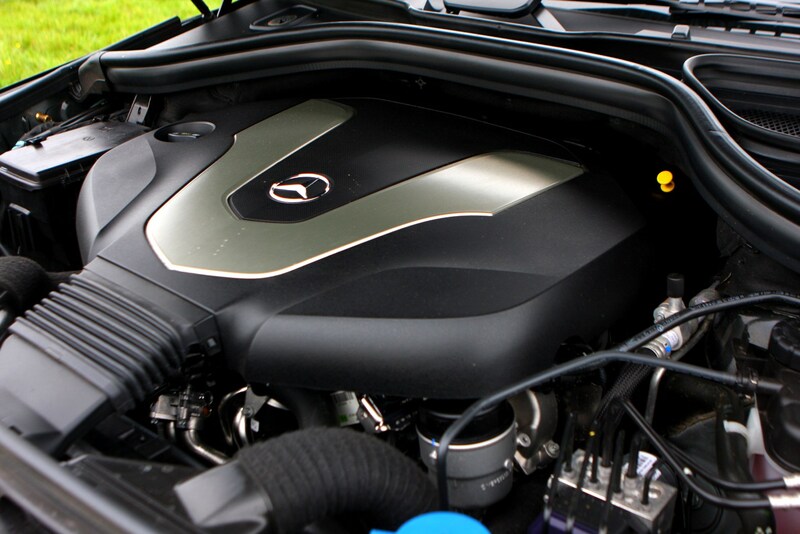 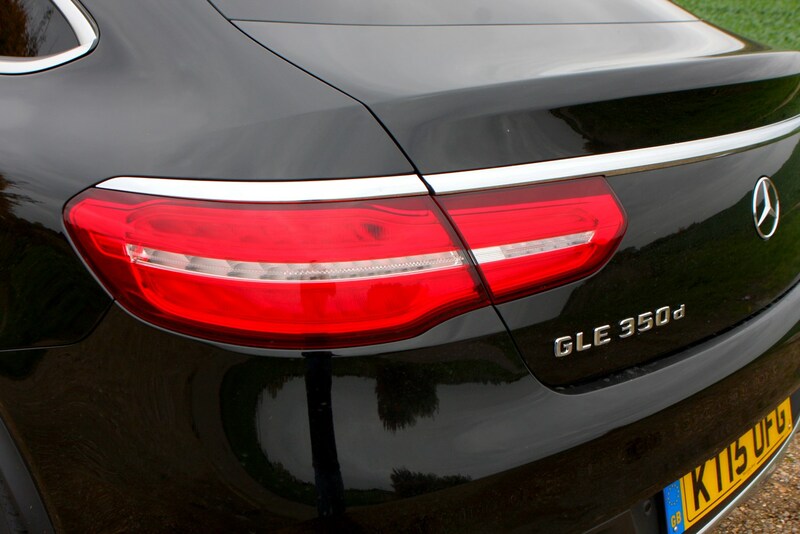 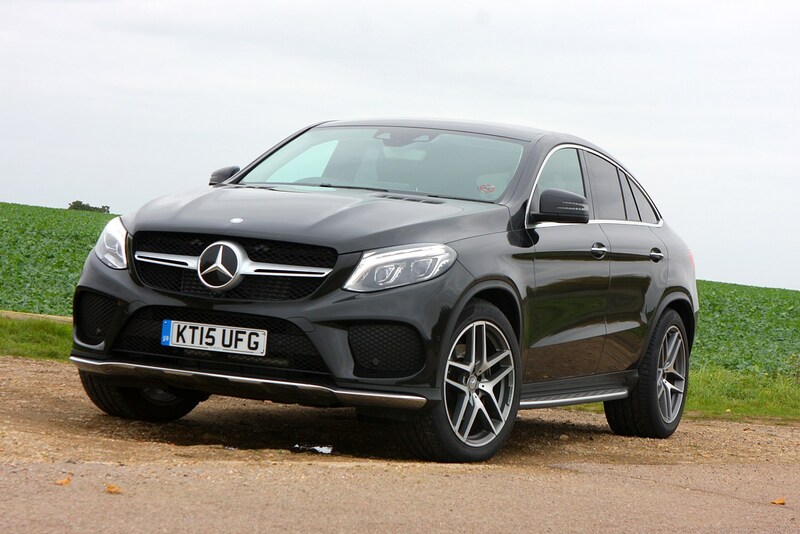 There are two engines providing the mainstay of the non-AMG range – a diesel called the GLE350d and a V6 petrol badged GLE450 AMG. 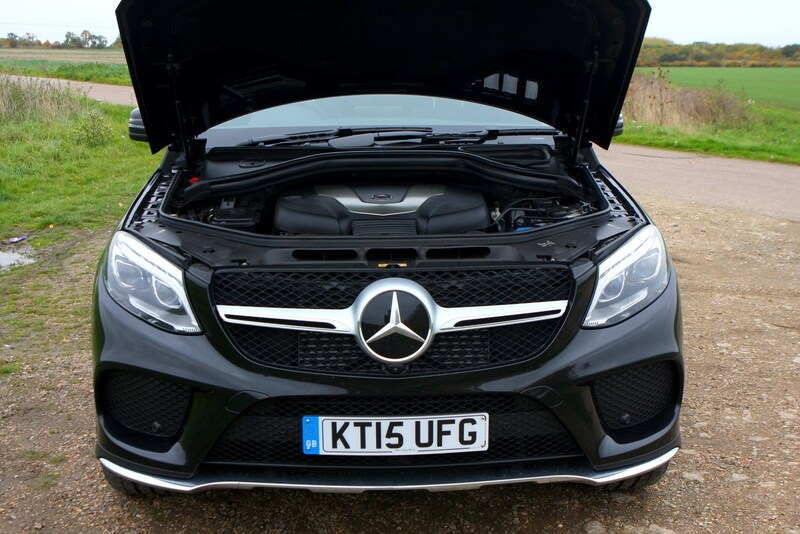 The former is the cheaper to run, not that you can call it ‘cheap’, with fuel economy of a claimed 39.2mpg and CO2 emissions of 187g/km. 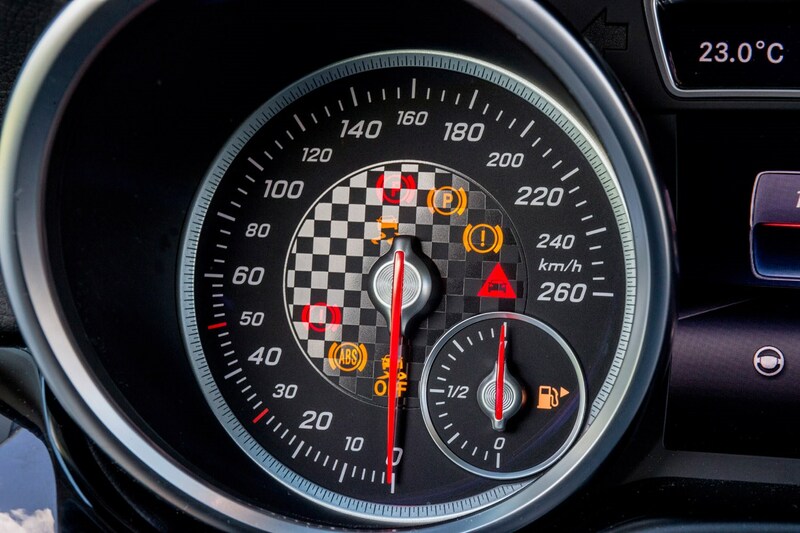 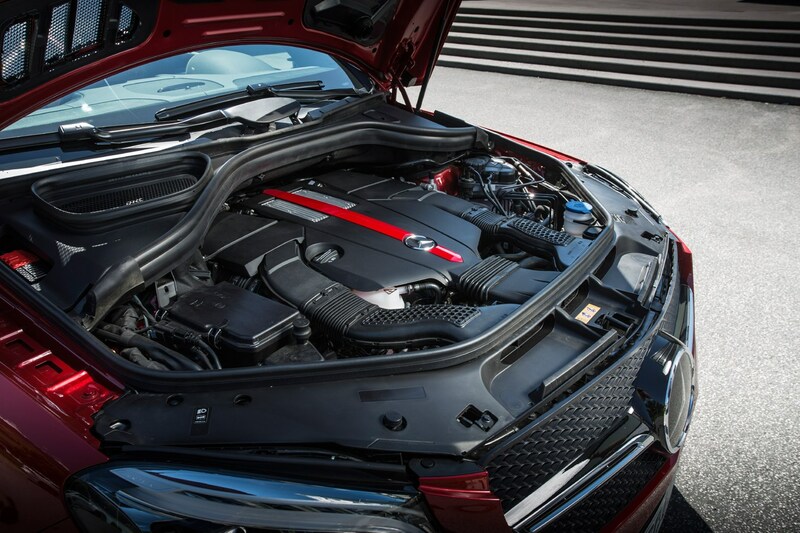 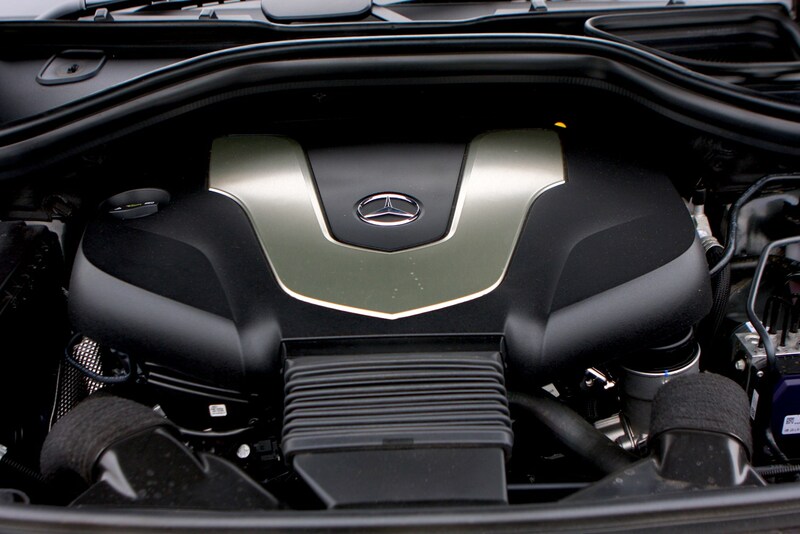 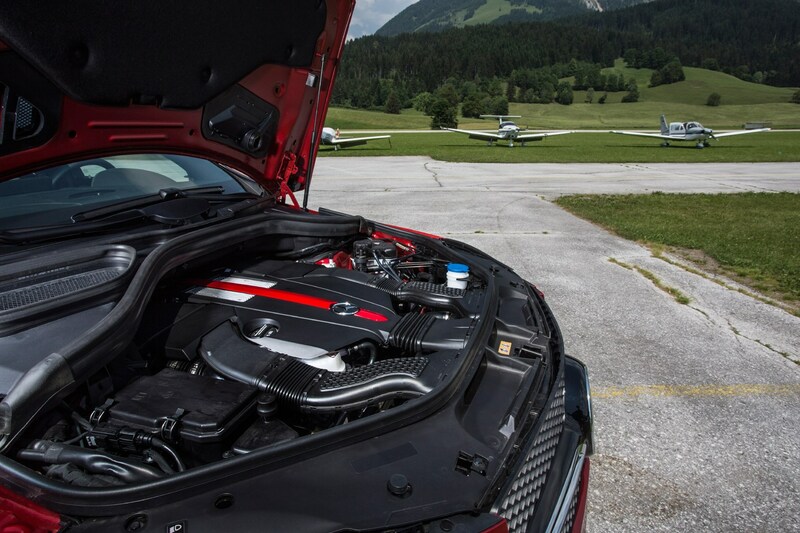 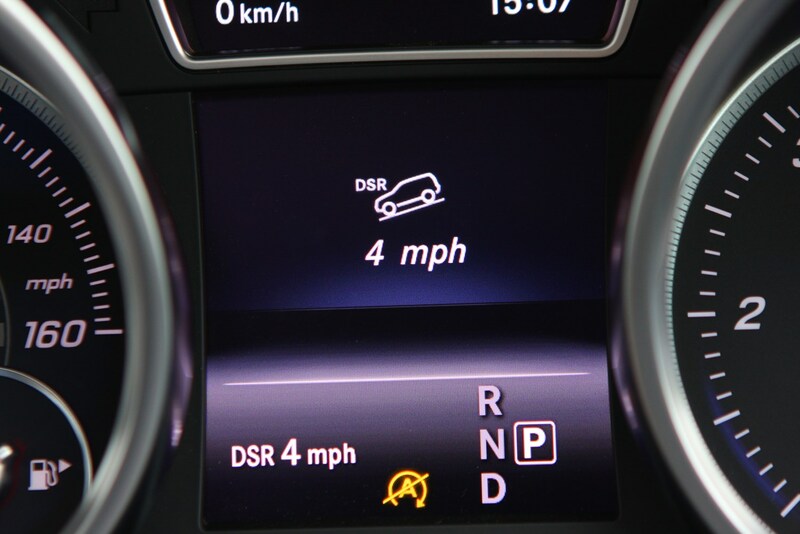 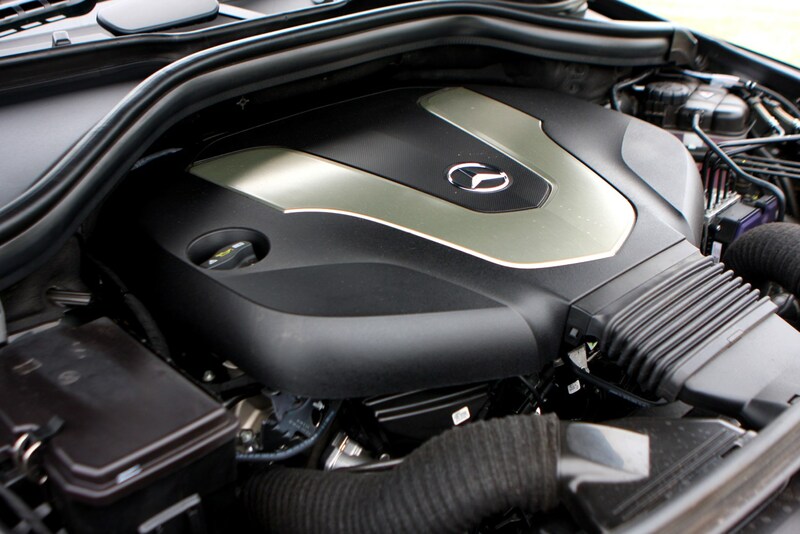 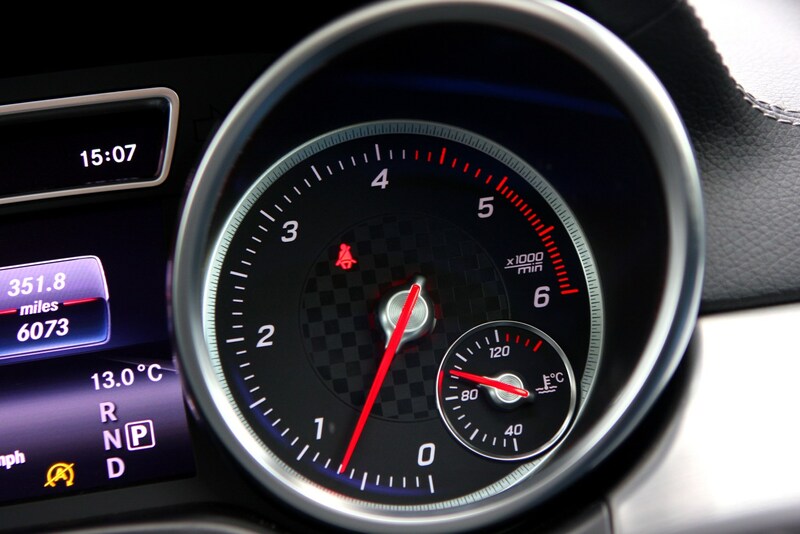 That’s contrasted by 255bhp and 620Nm of torque, which means 0-62mph in seven seconds flat and a 140mph top speed. 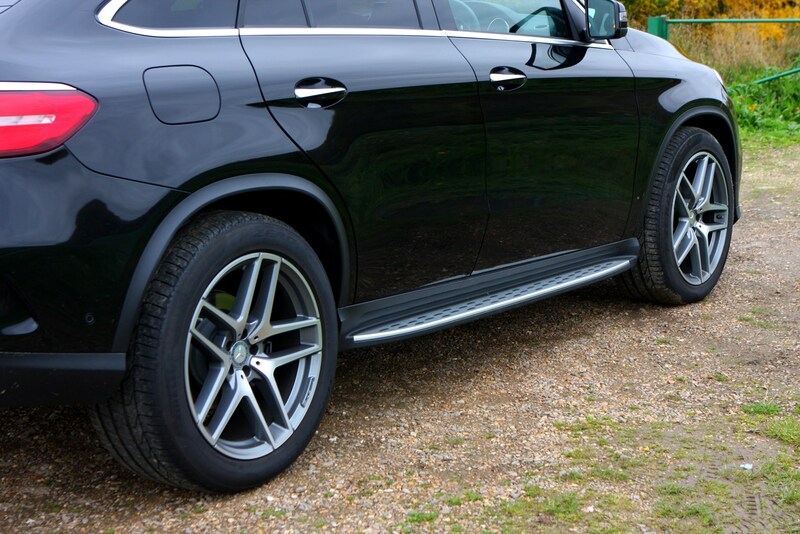 We found this version seemed to make the most sense on the road, but still found it suffered with poor body control on its air suspension system. 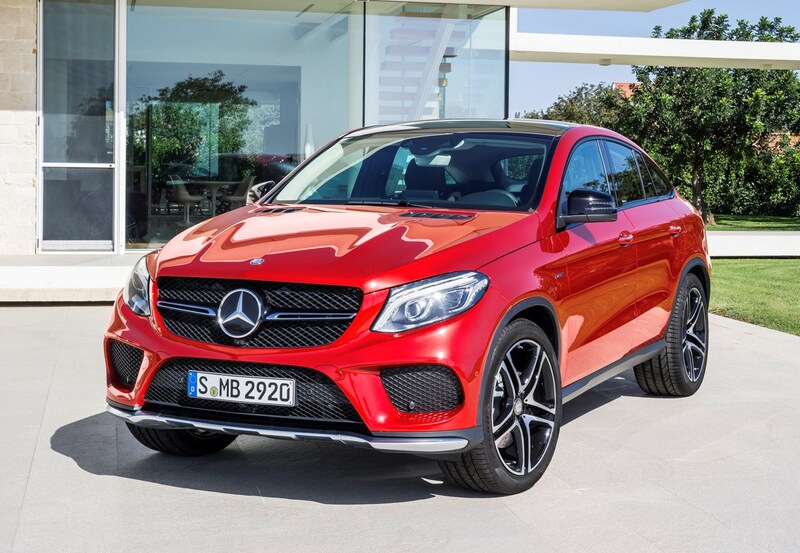 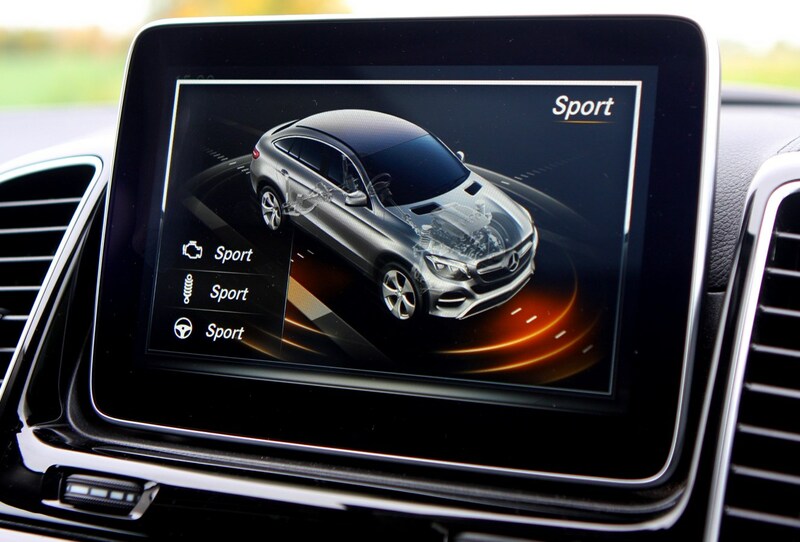 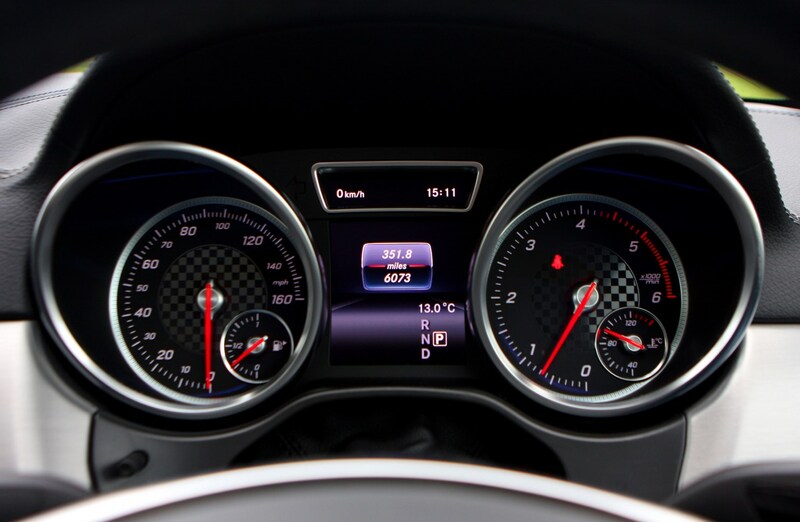 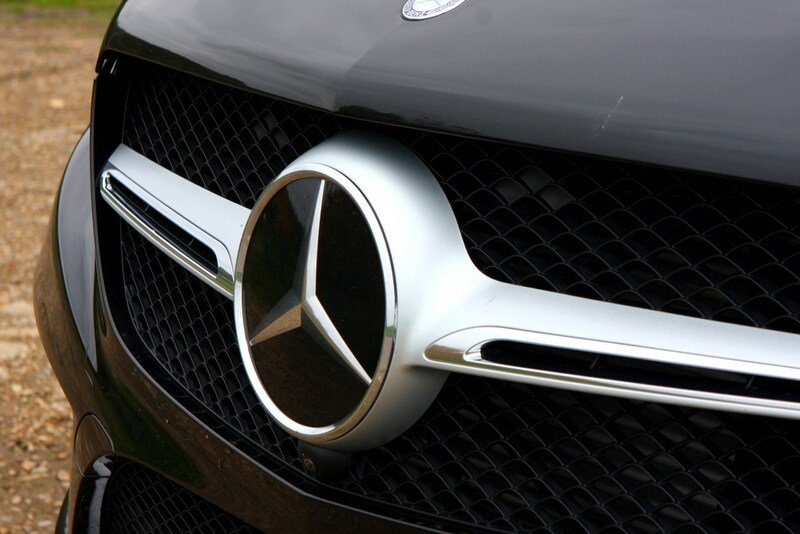 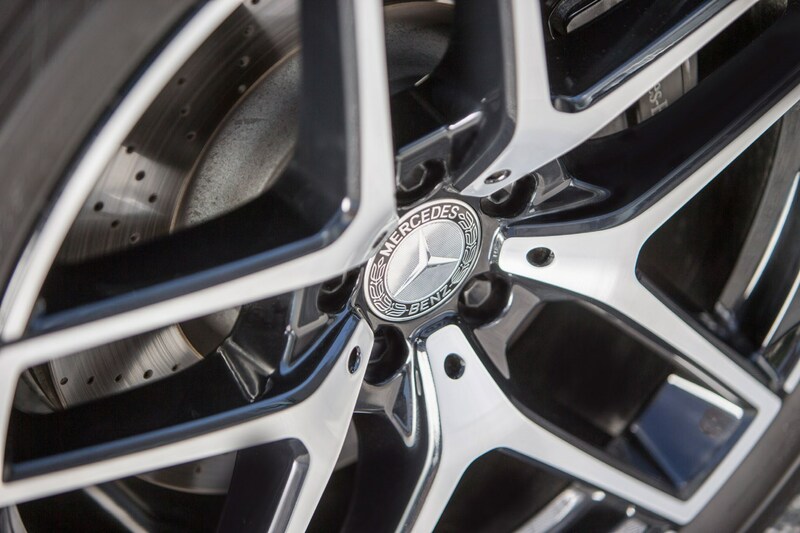 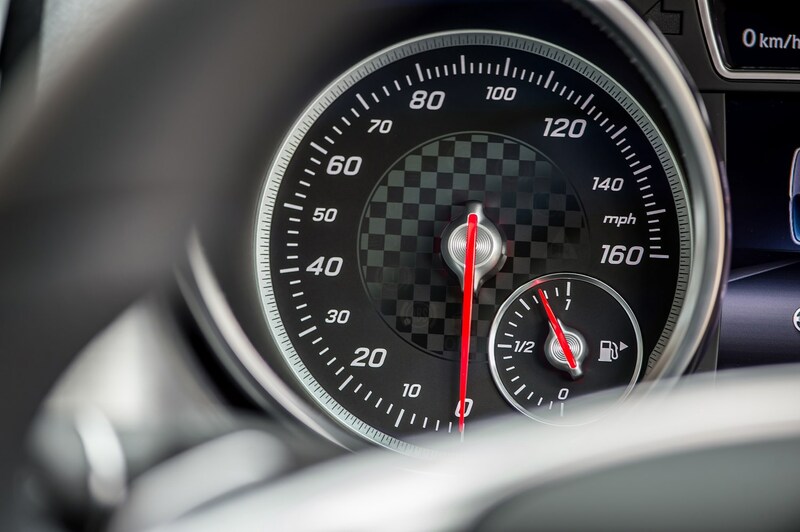 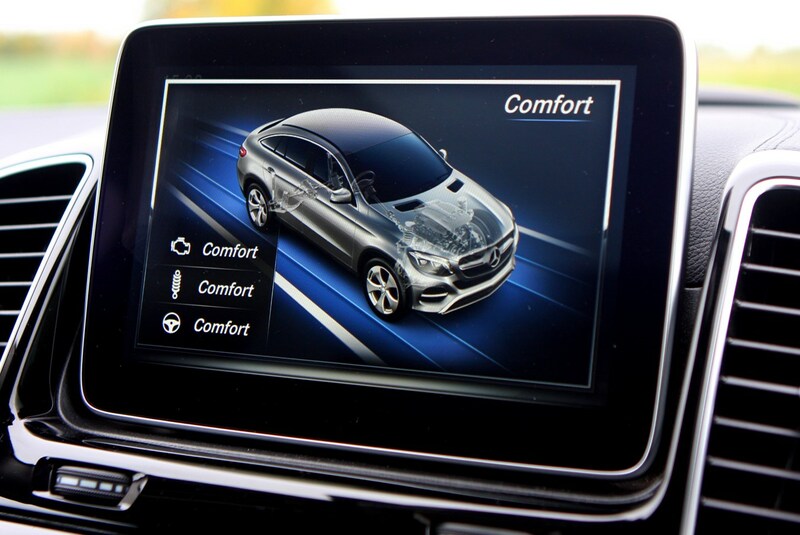 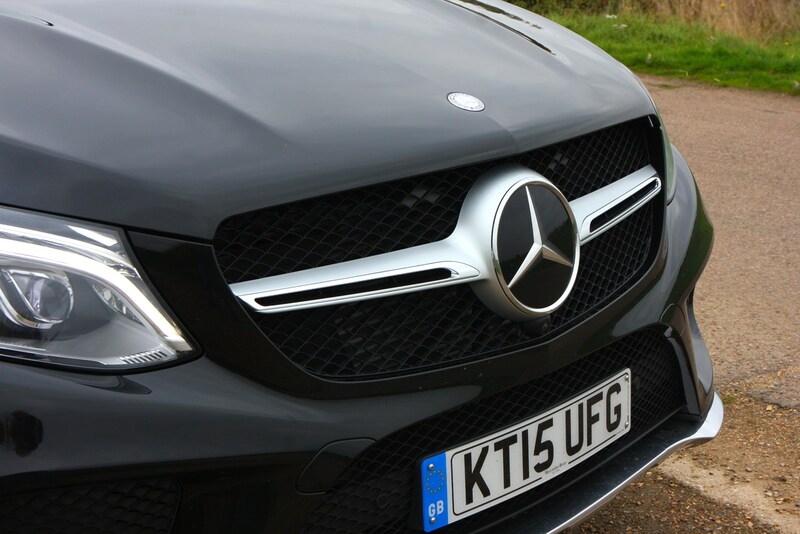 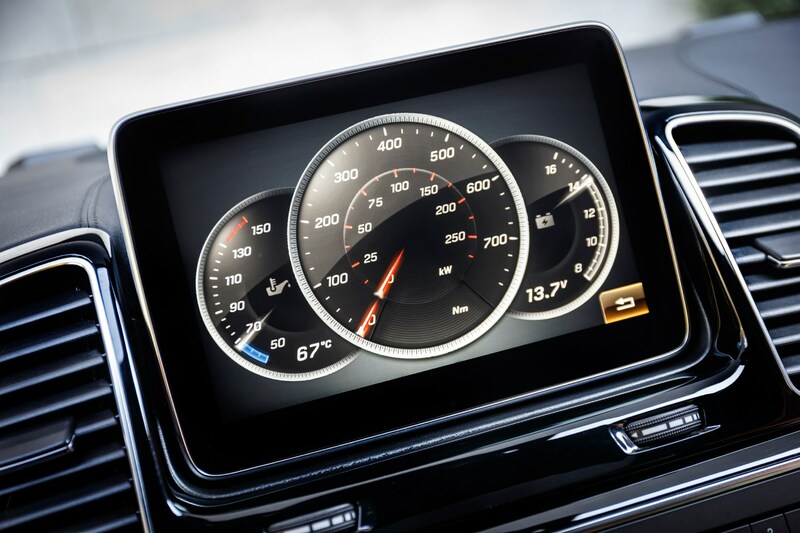 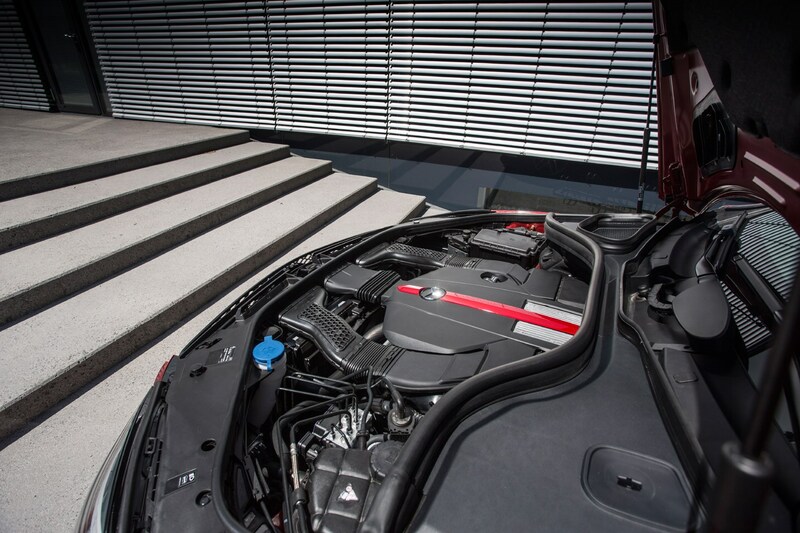 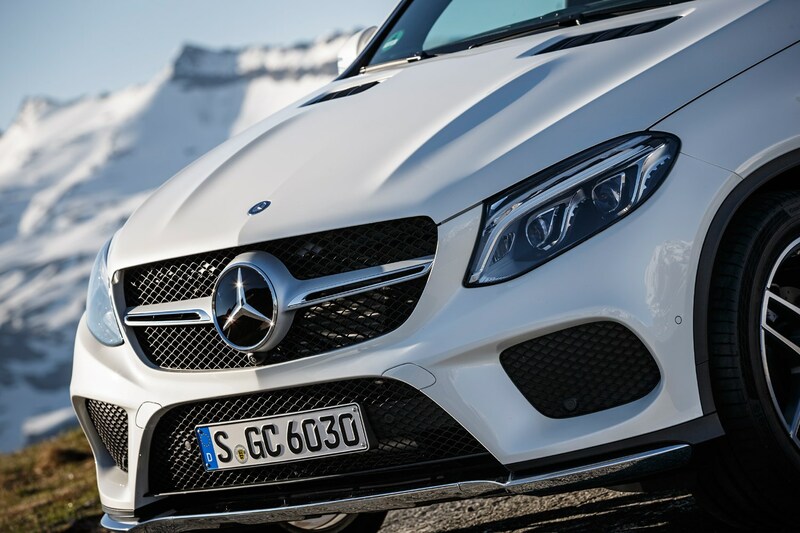 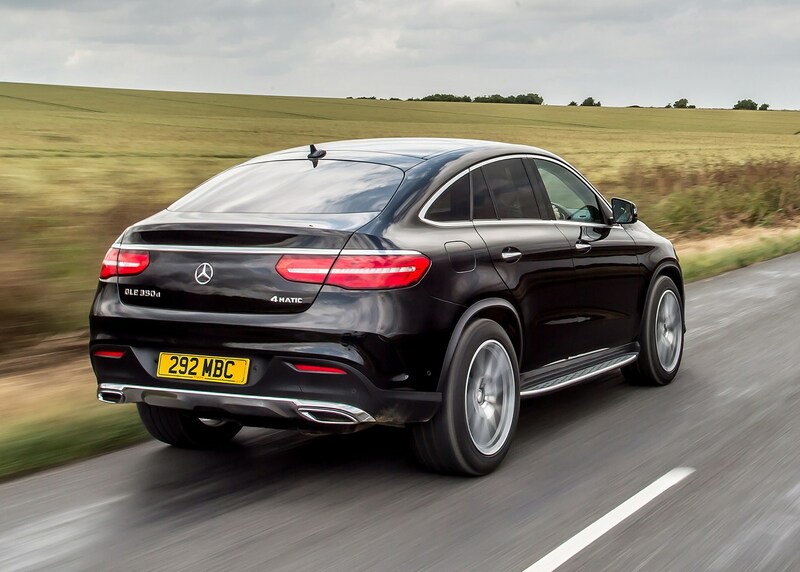 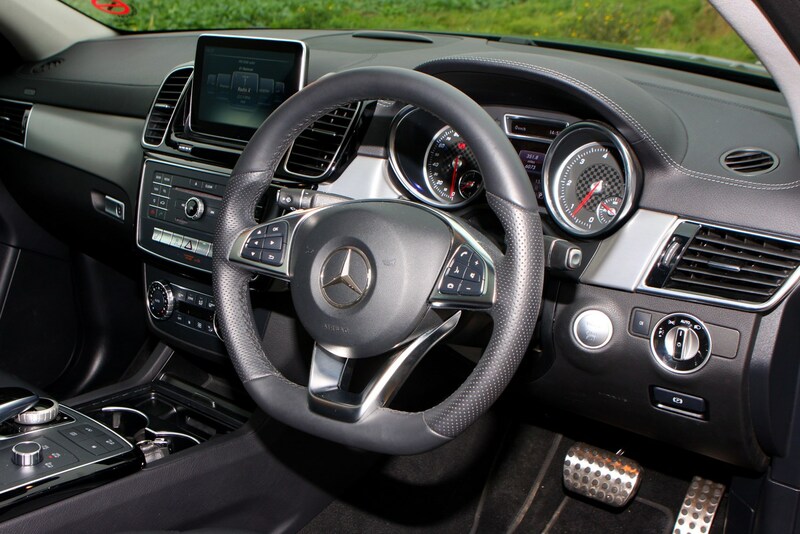 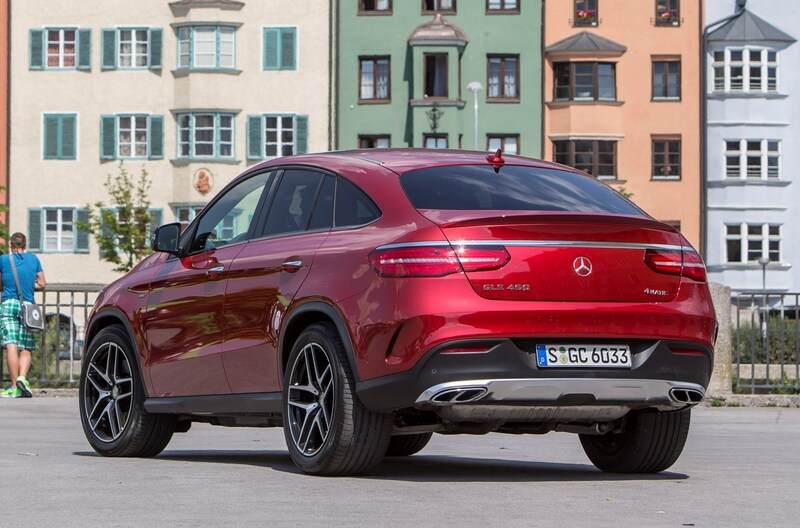 With 362bhp and 520Nm, the GLE450 AMG Coupe is the fastest model in the core range. 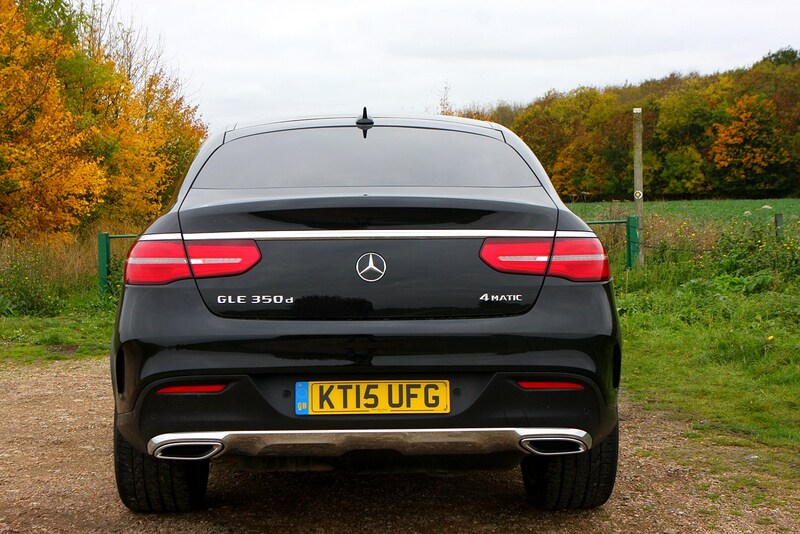 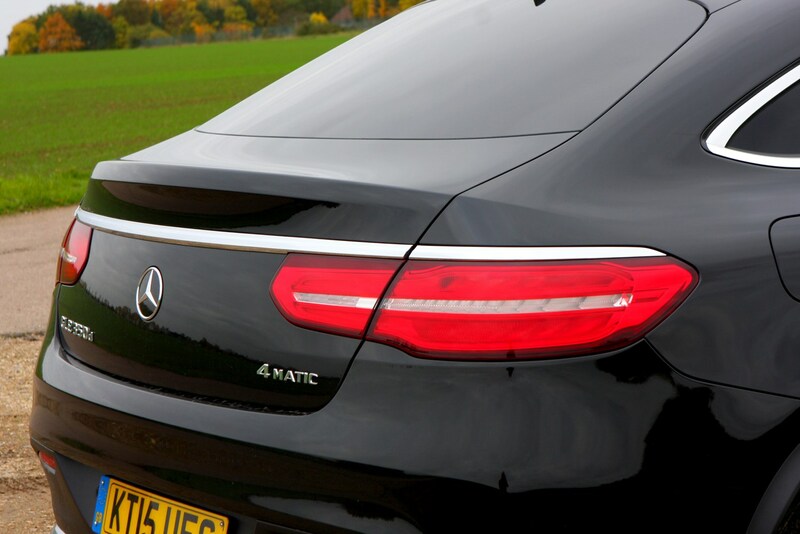 Think of it more as a gateway into AMG ownership without plumping for the full-fat GLE63 and its significantly higher price tag. 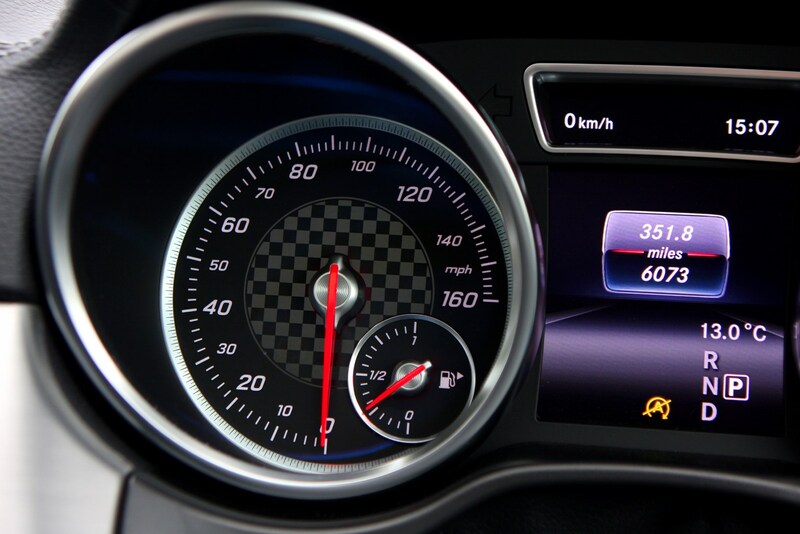 This one covers 0-62mph in 5.7 seconds with a top speed limited to 155mph. 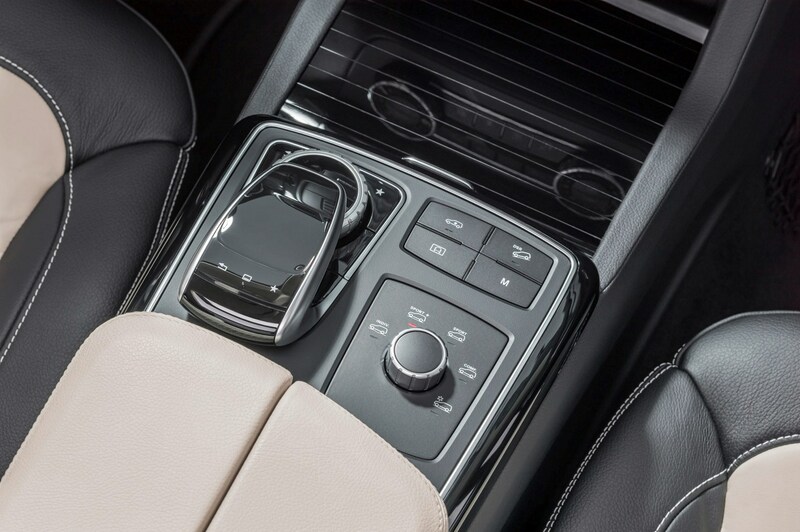 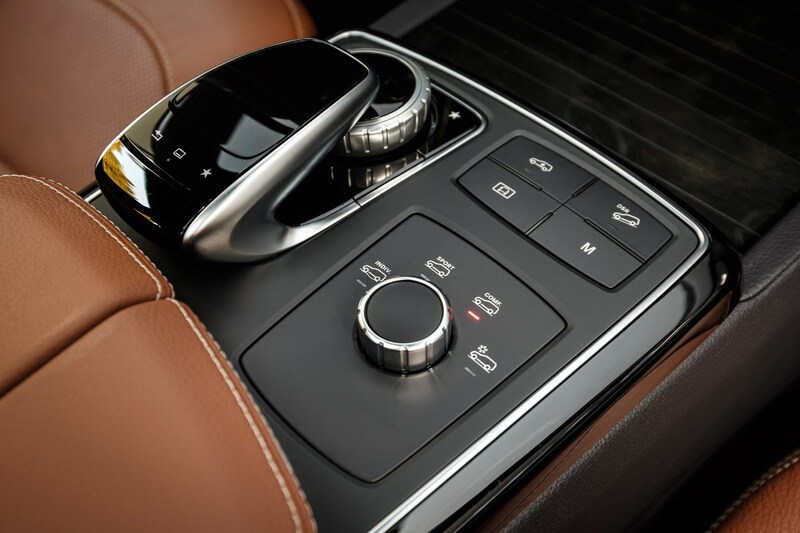 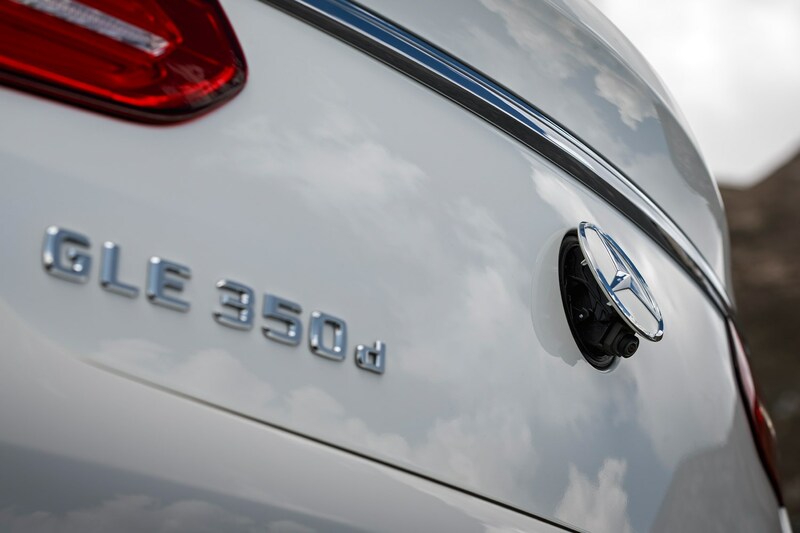 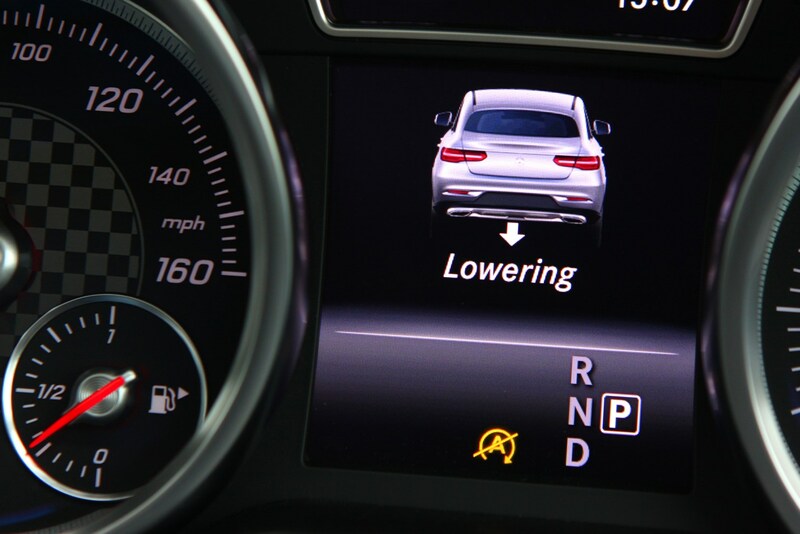 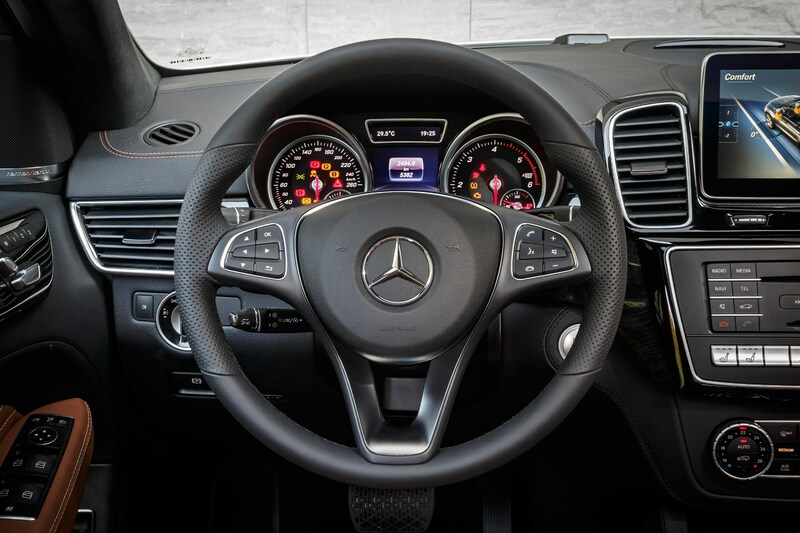 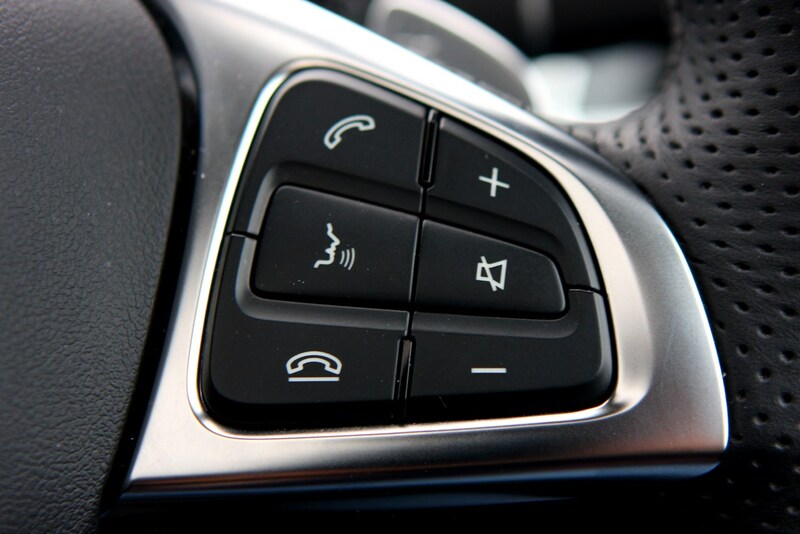 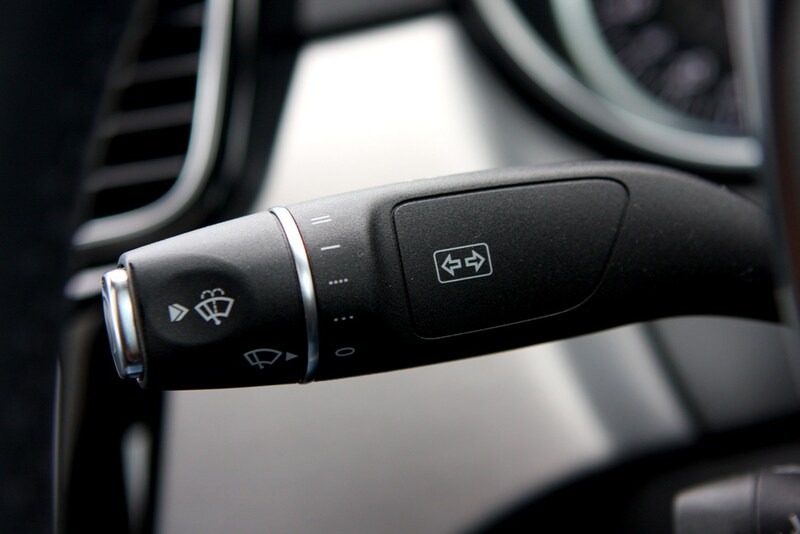 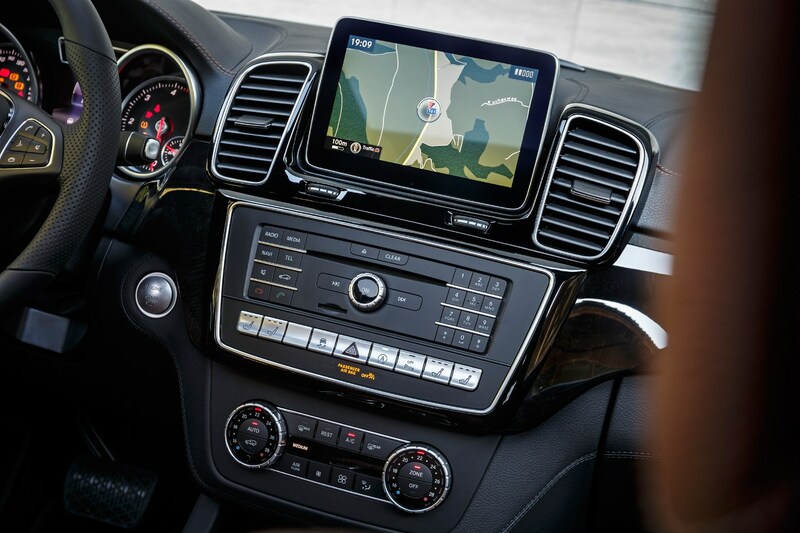 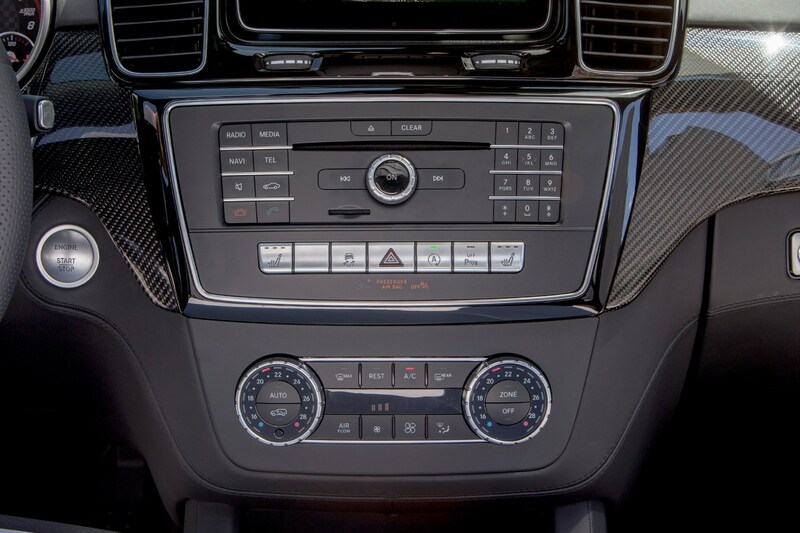 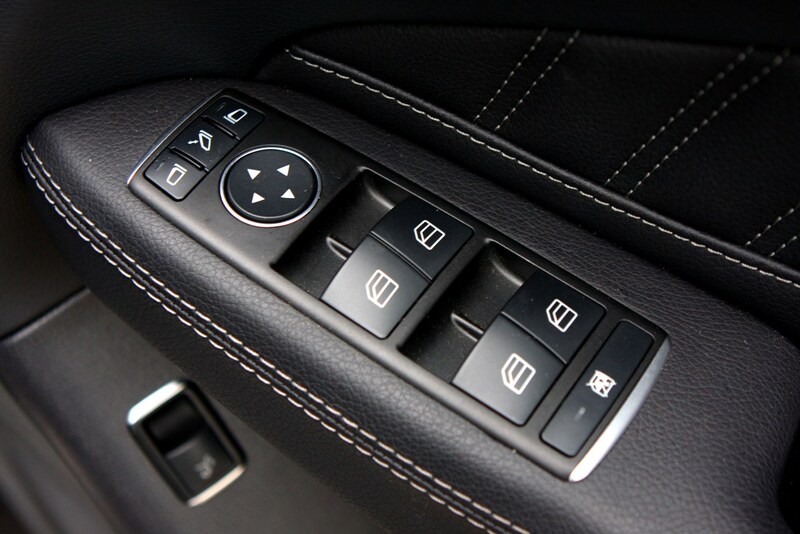 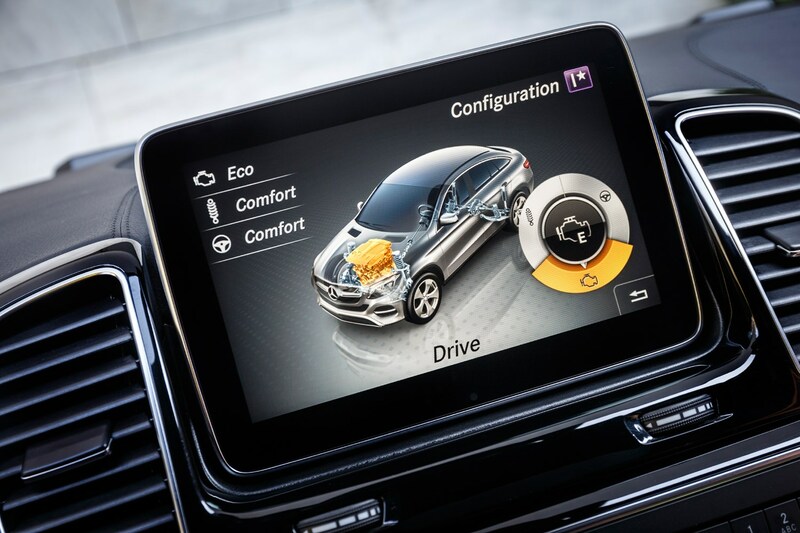 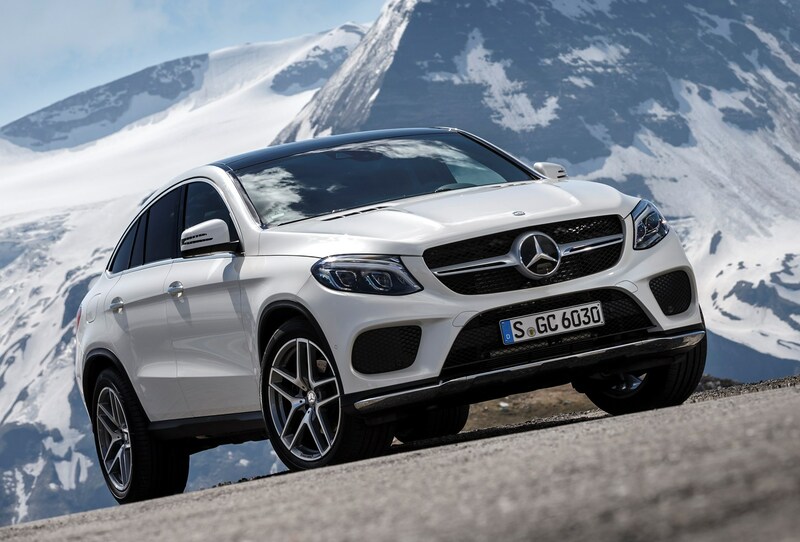 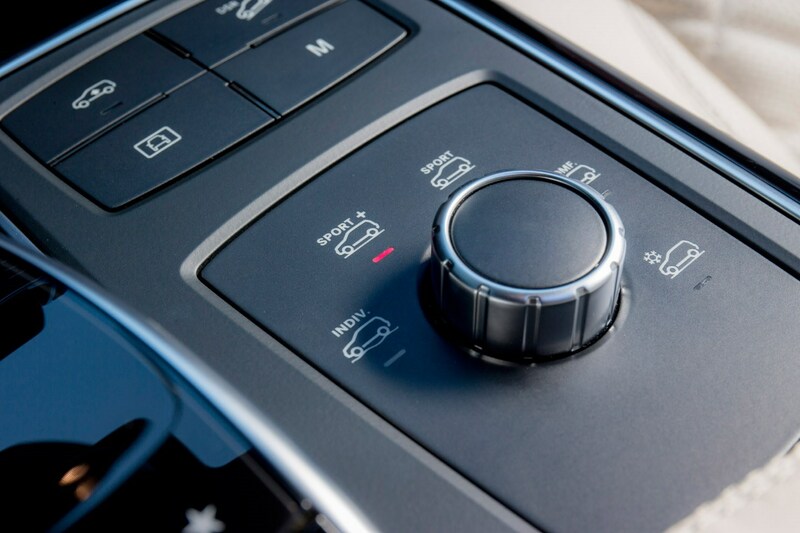 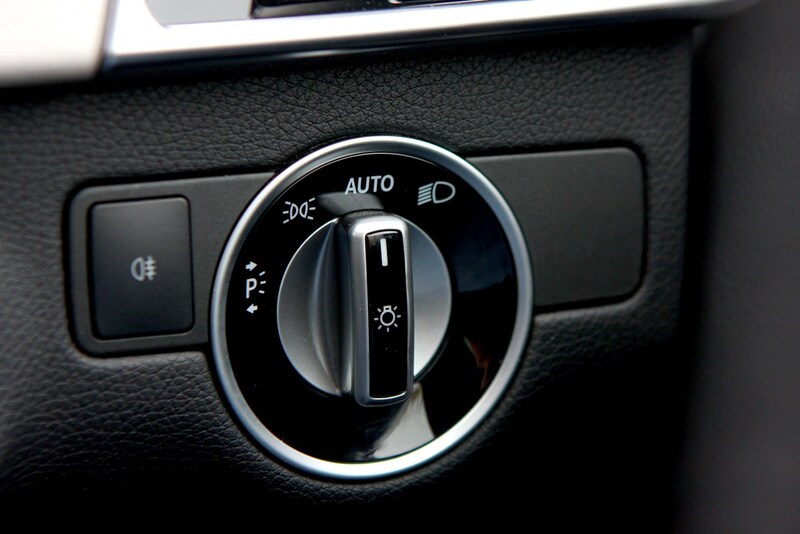 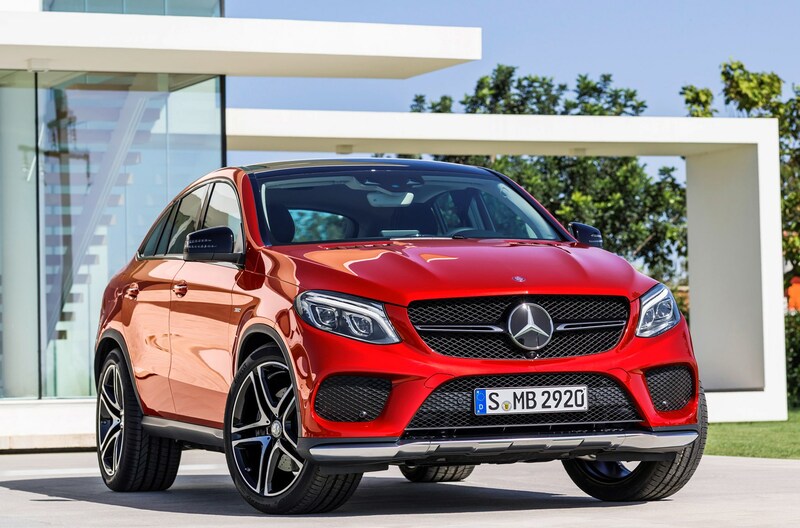 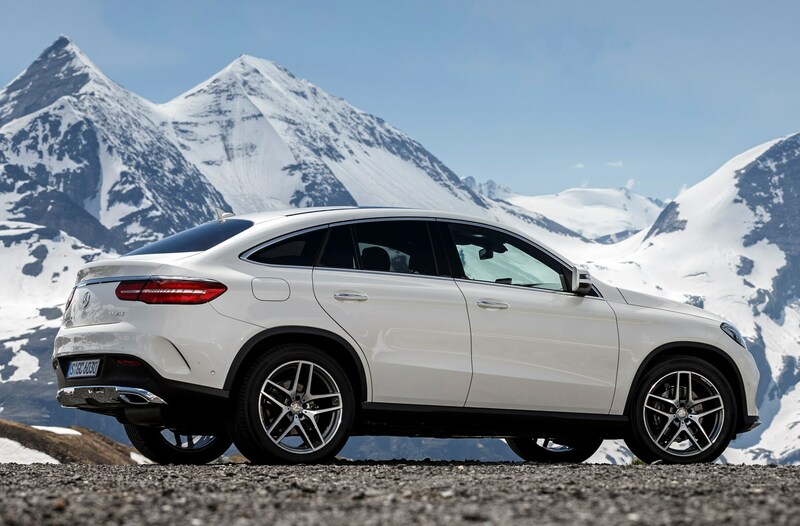 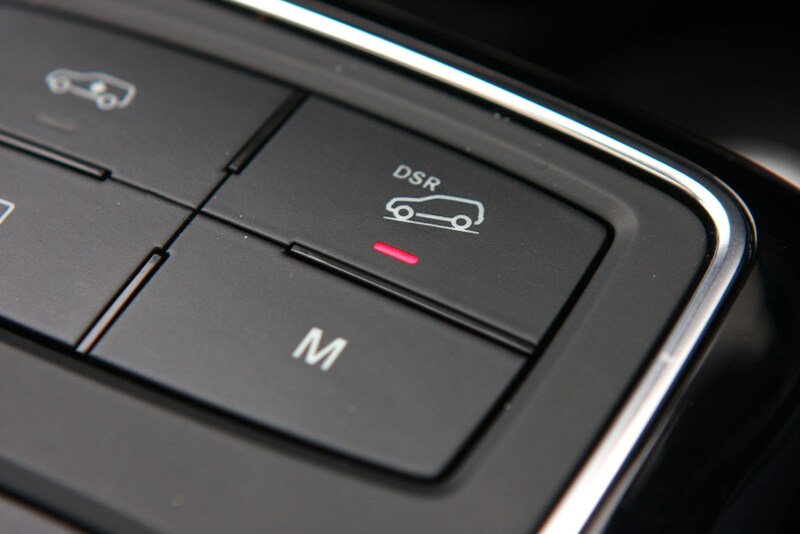 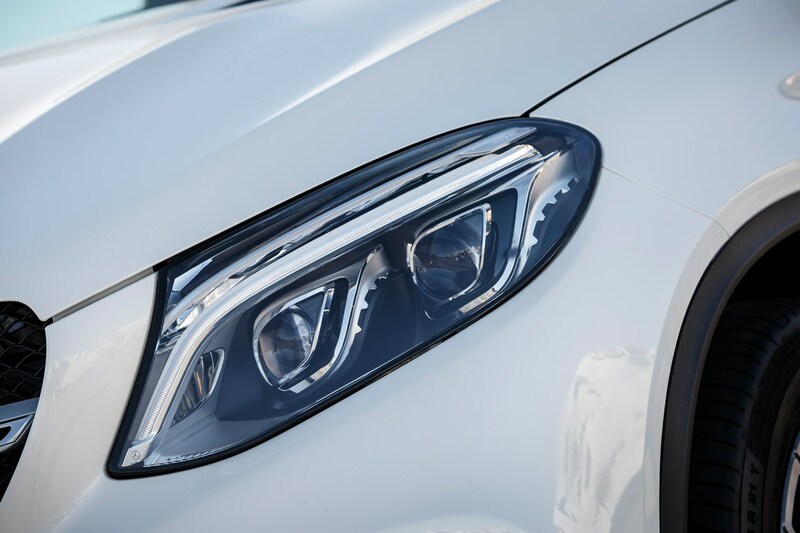 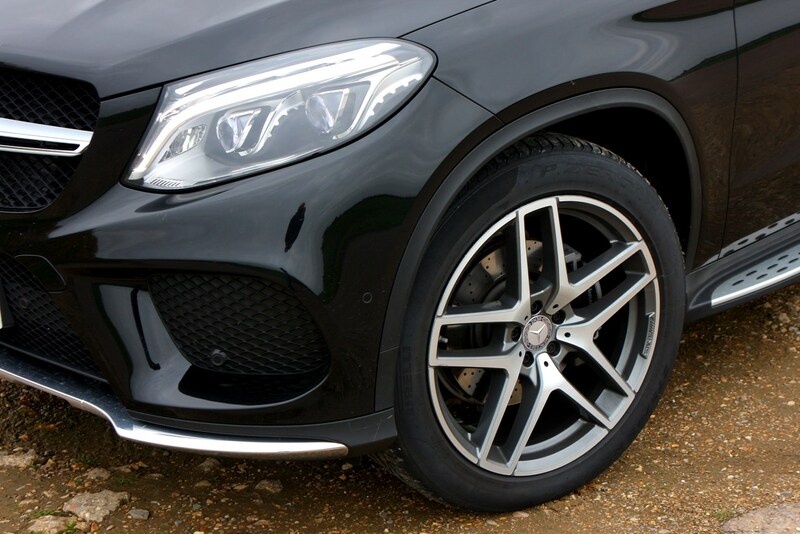 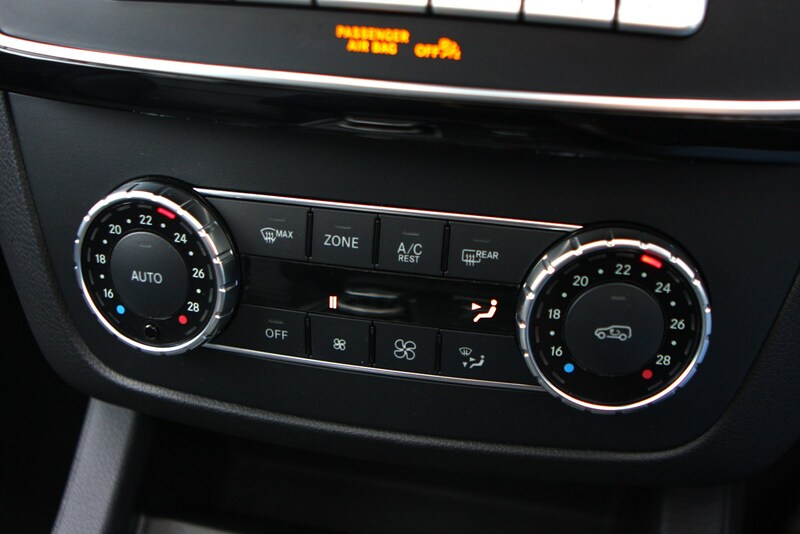 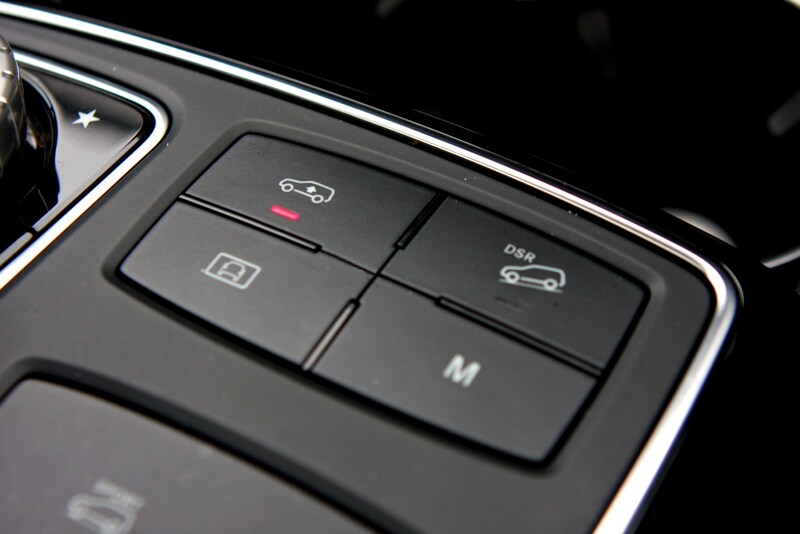 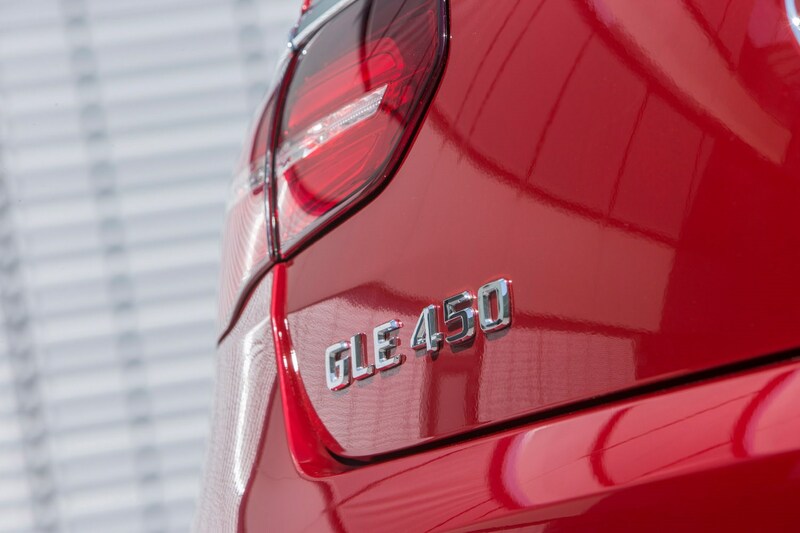 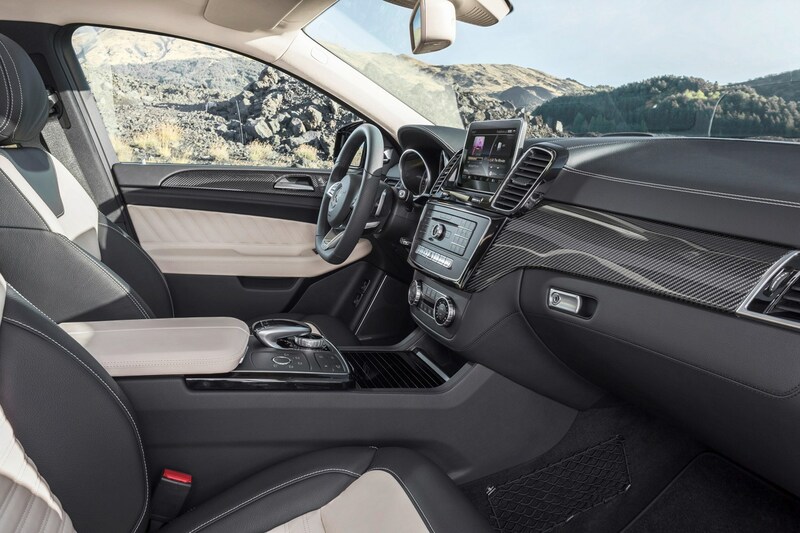 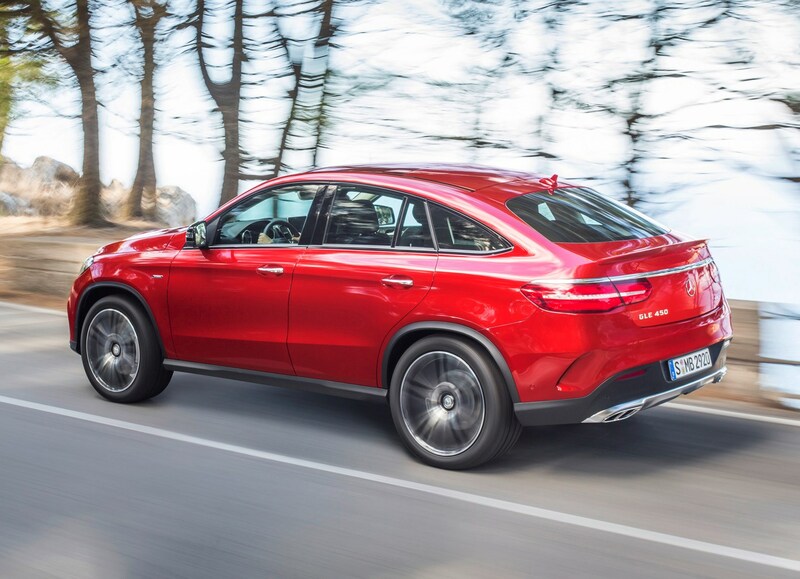 While both versions get all-wheel drive and a nine-speed automatic gearbox, the GLE350d sends equal power to both front and rear wheels while the GLE450 AMG sends 60 percent to the rear for improved handling. 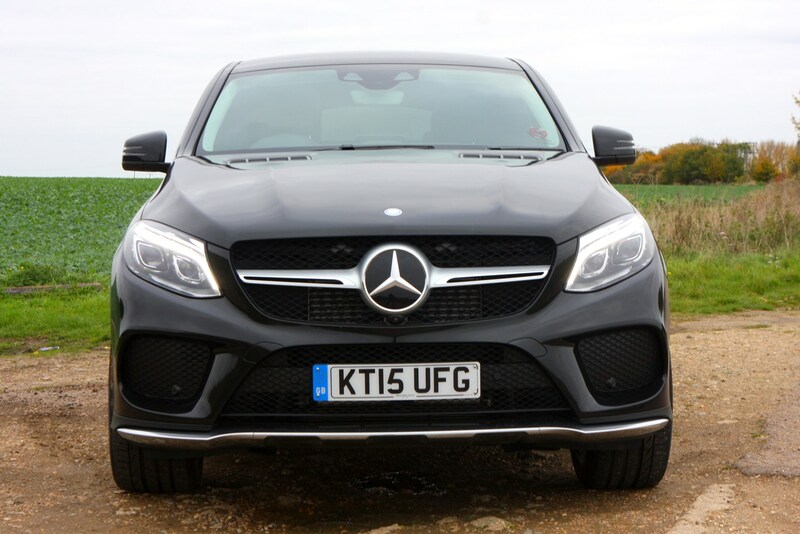 There’s a huge amount of equipment on offer here, and you’d hope so too, considering its list price. 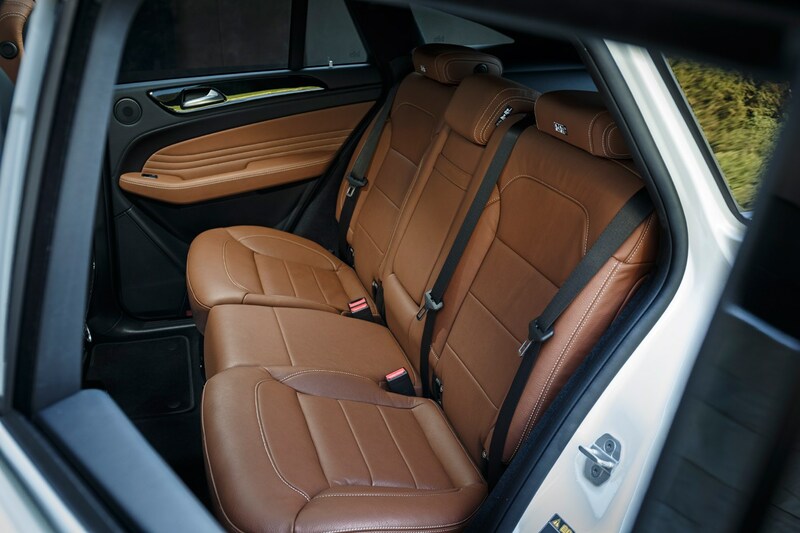 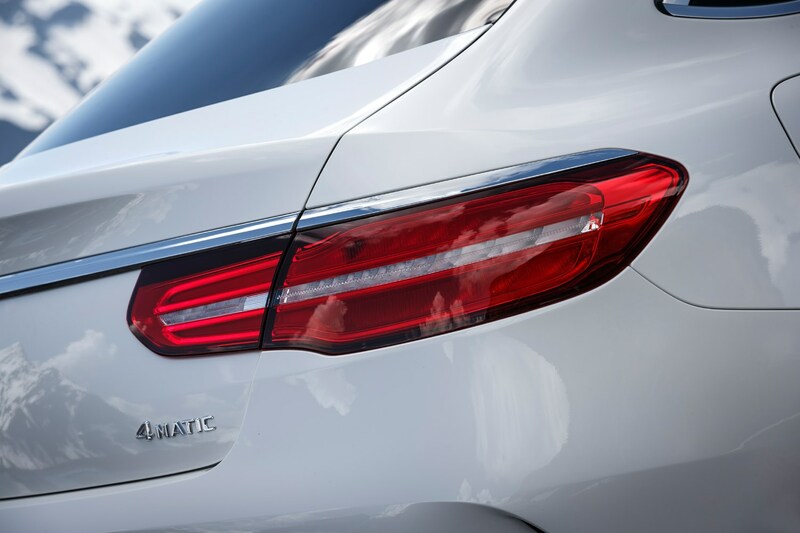 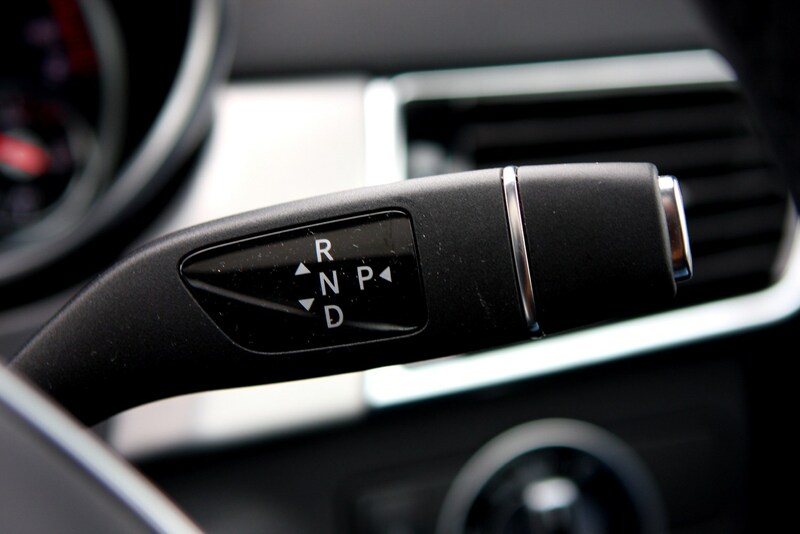 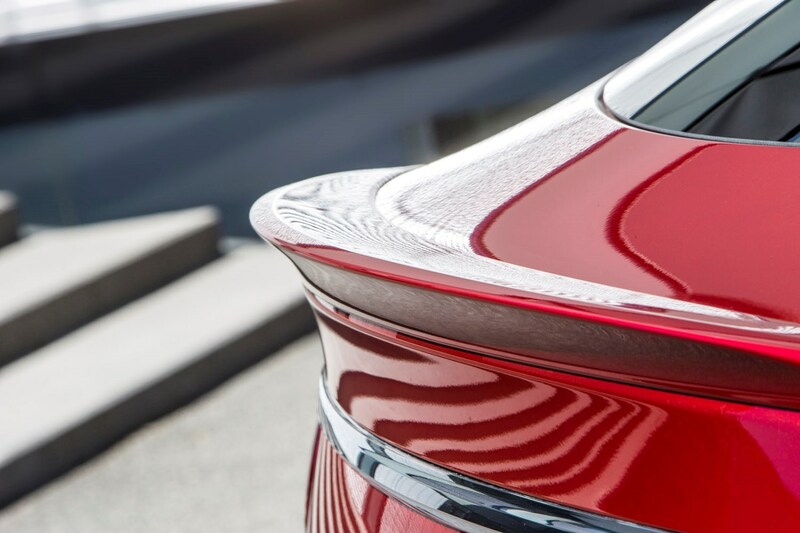 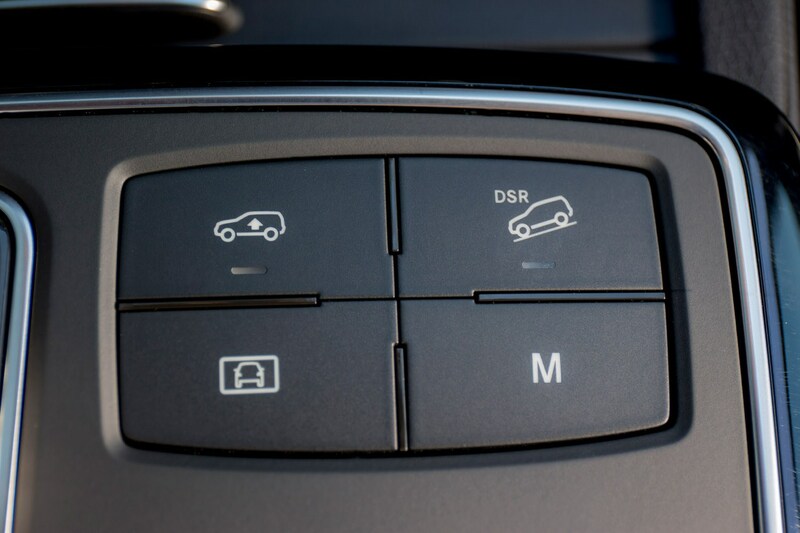 Highlights include the firm’s Airmatic air suspension system, which can be configured for comfort or sporty driving and will self-level for towing or carrying heavy loads. 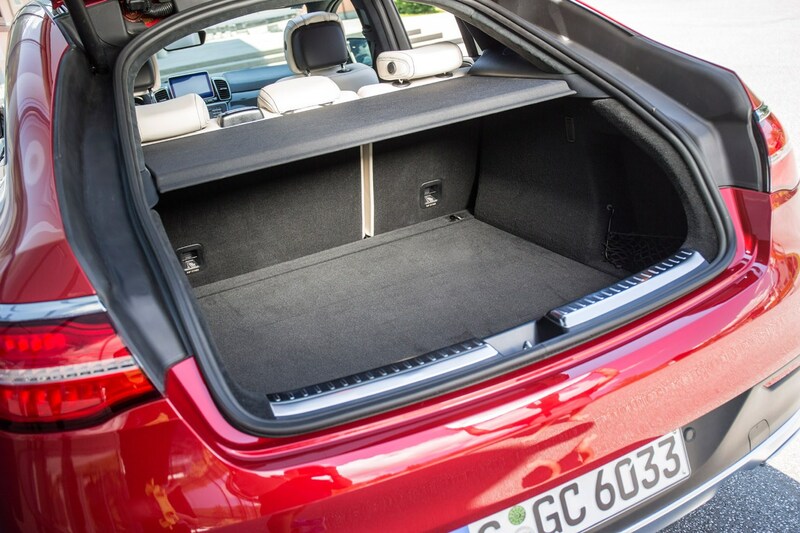 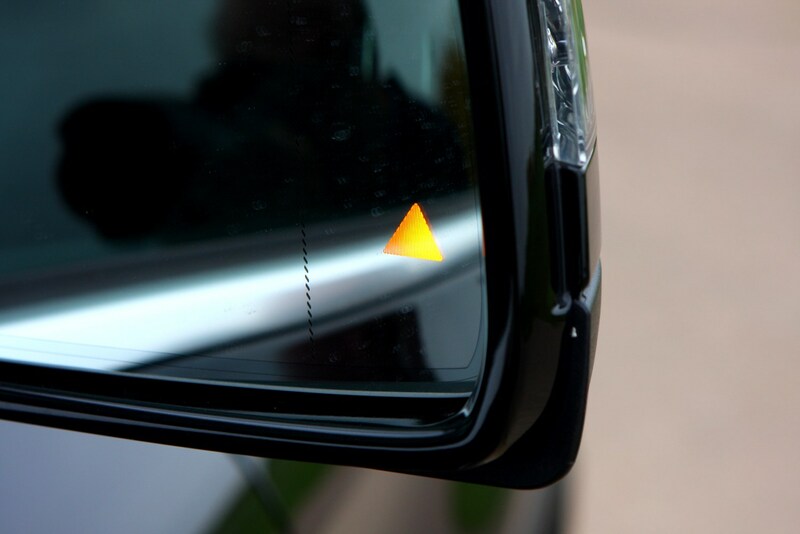 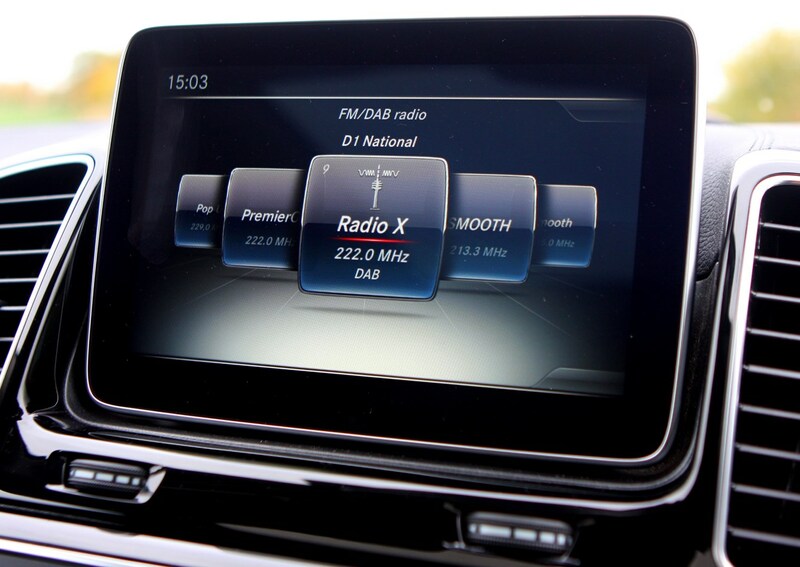 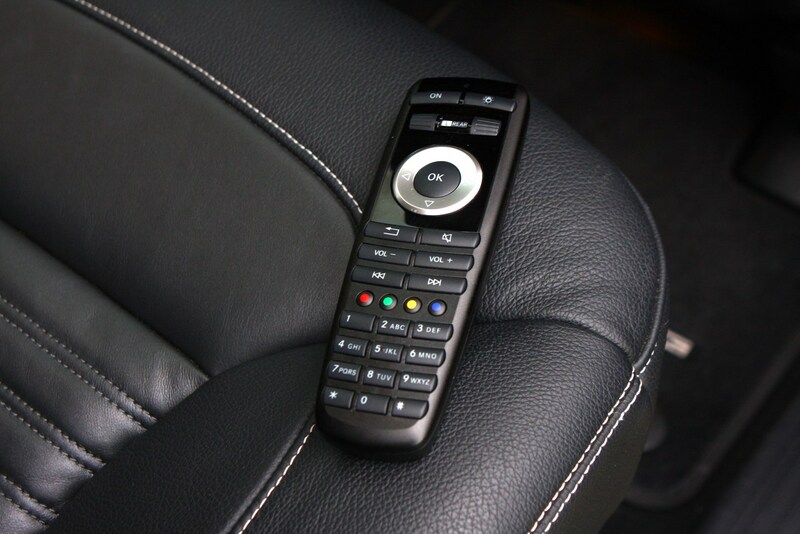 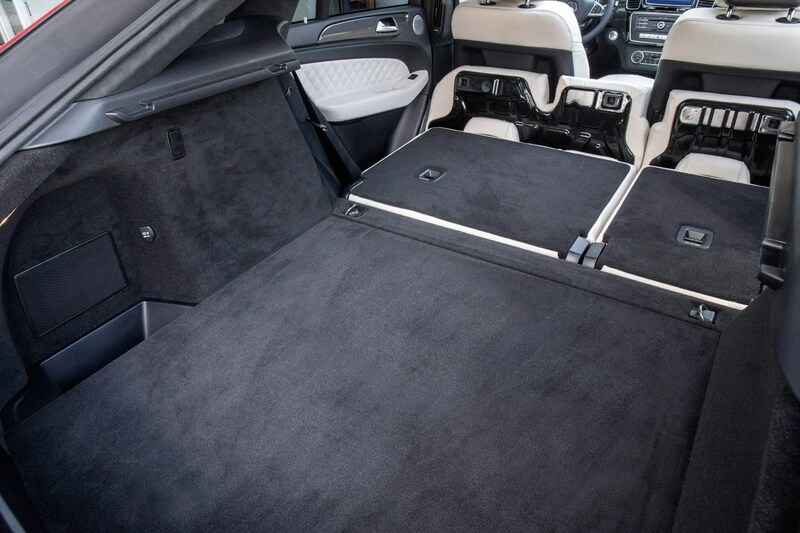 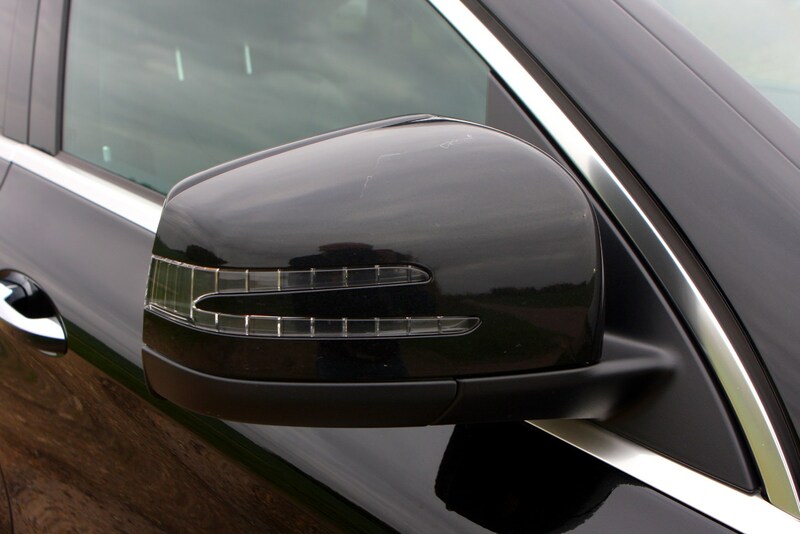 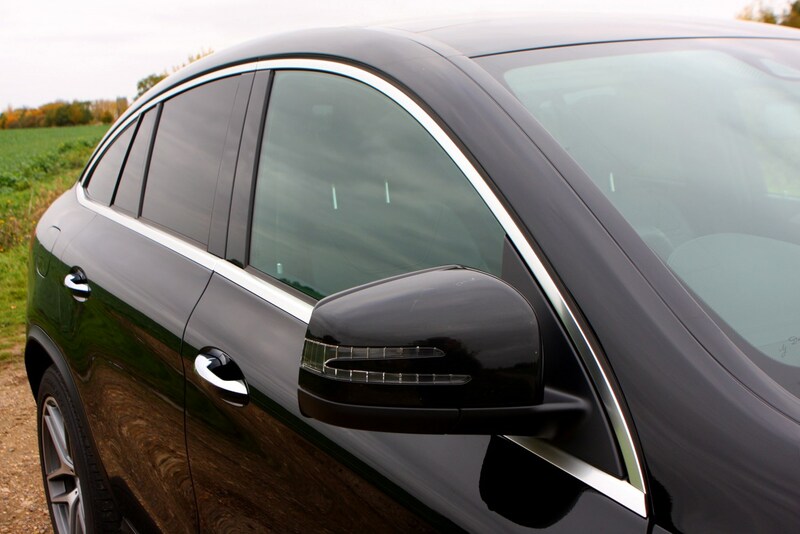 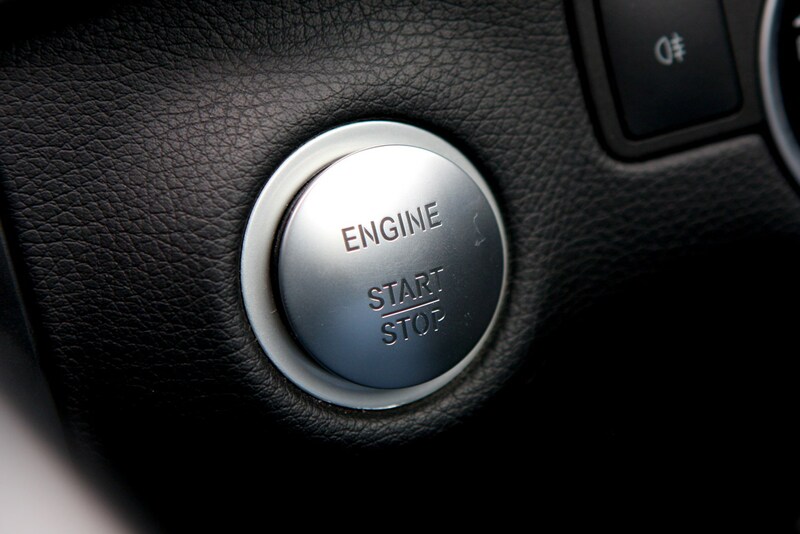 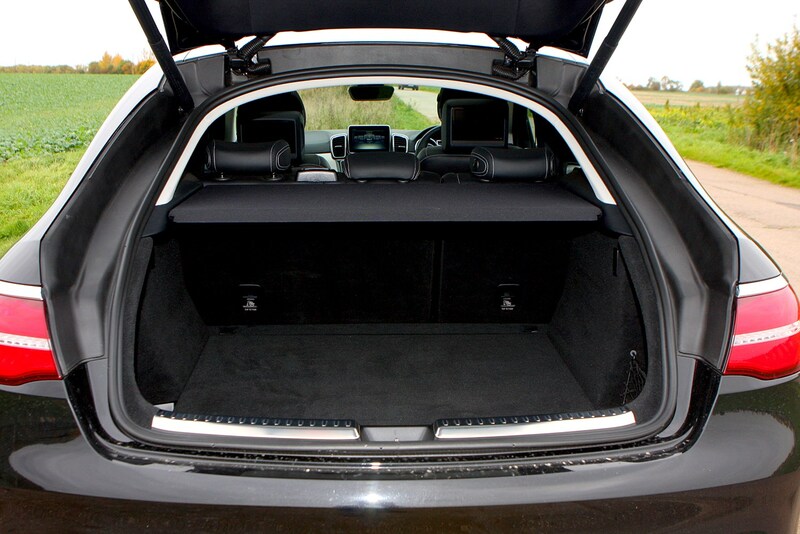 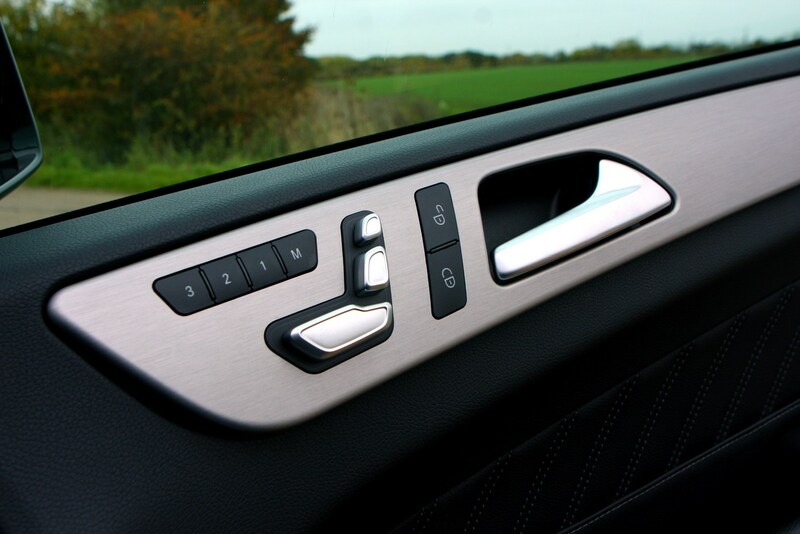 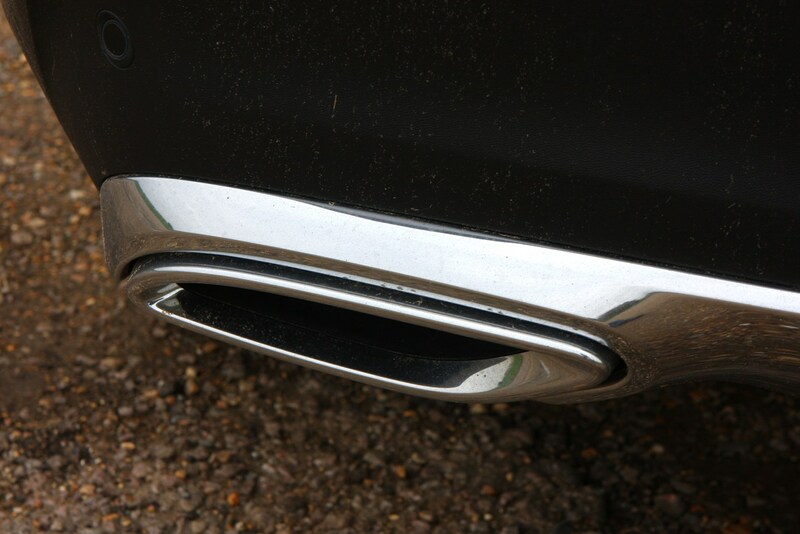 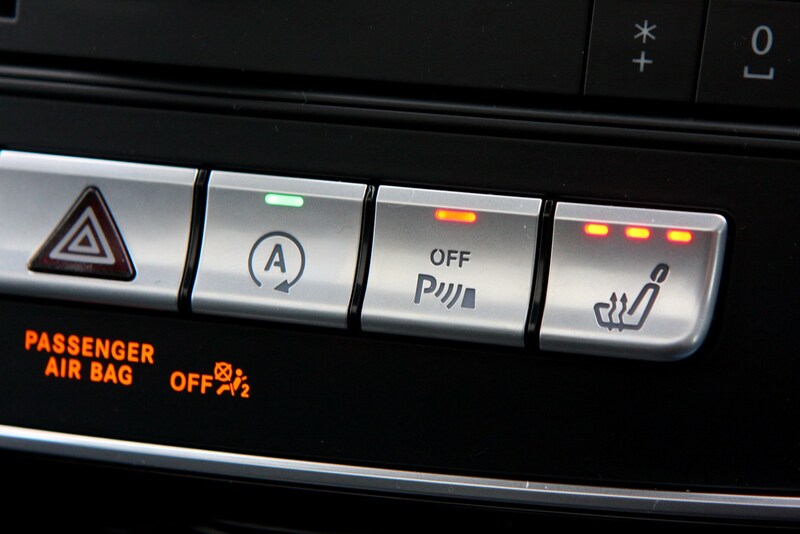 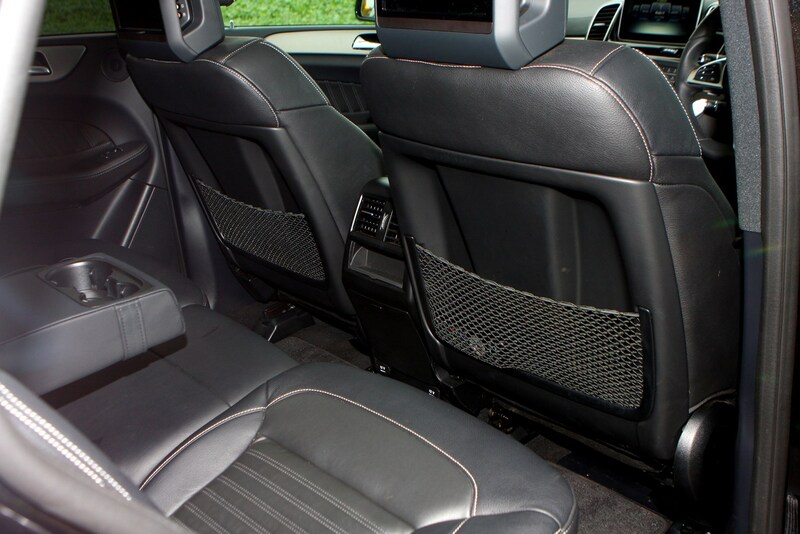 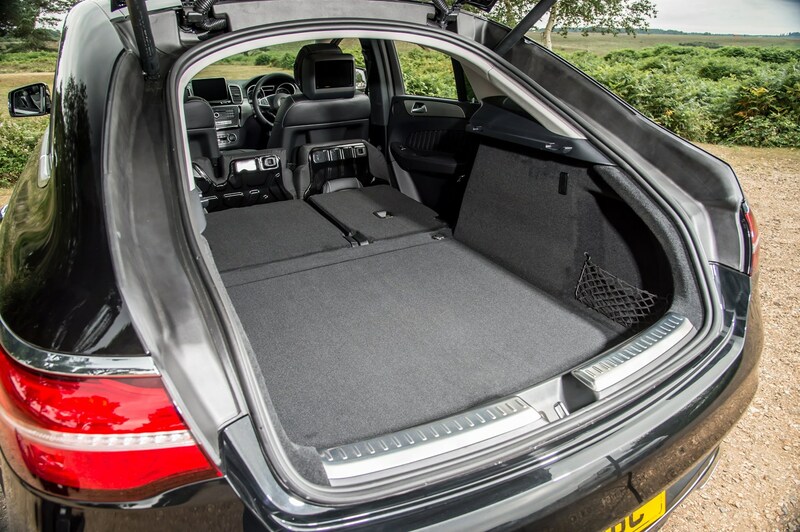 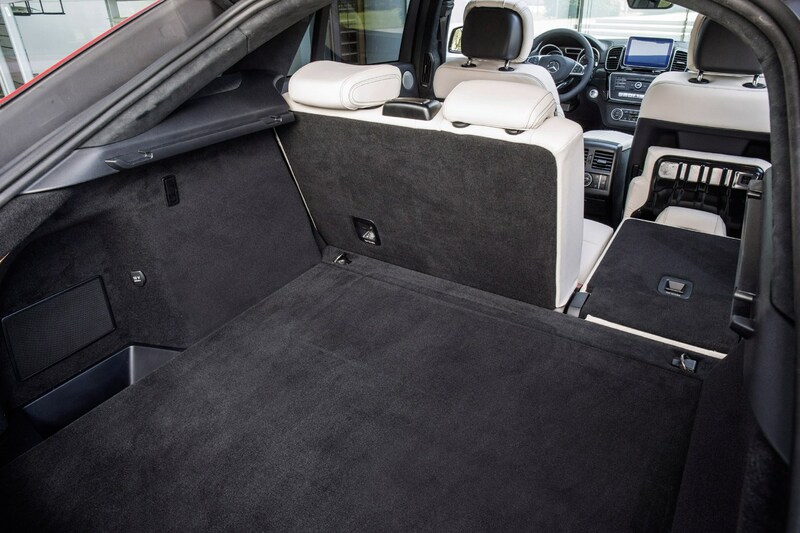 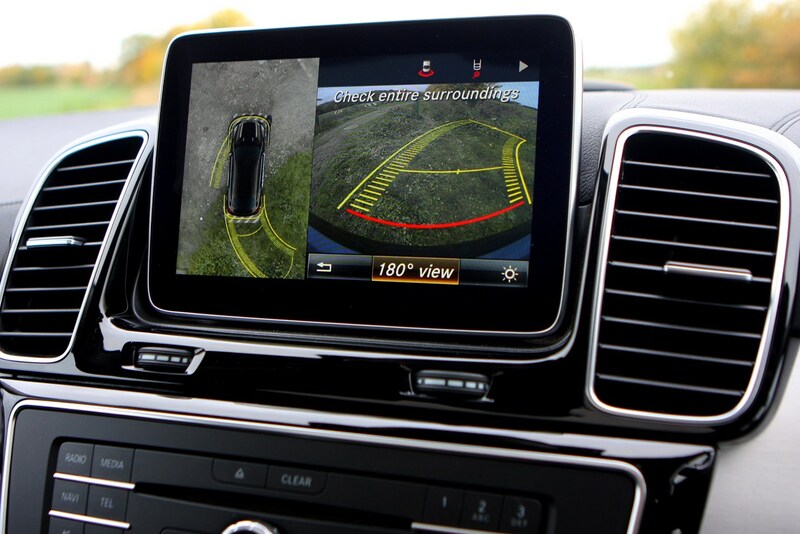 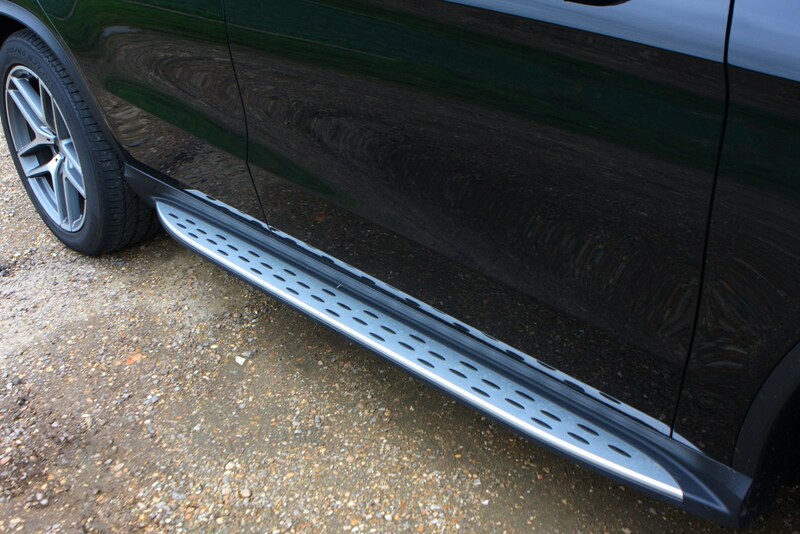 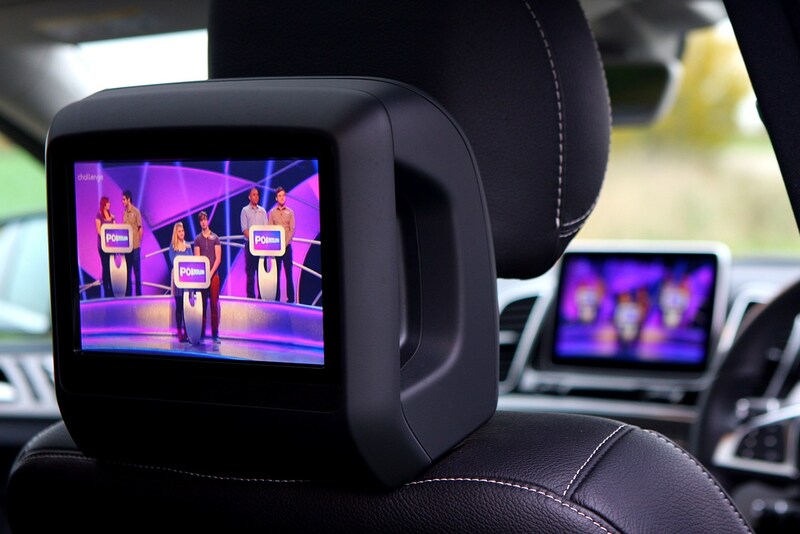 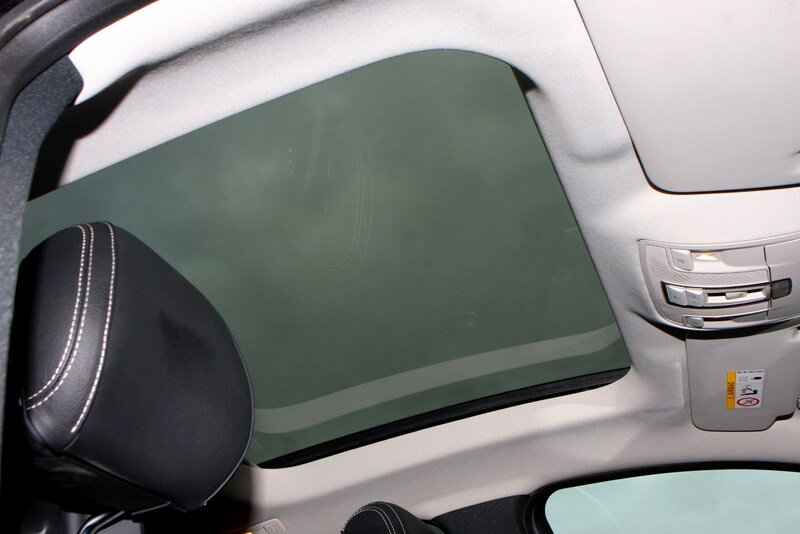 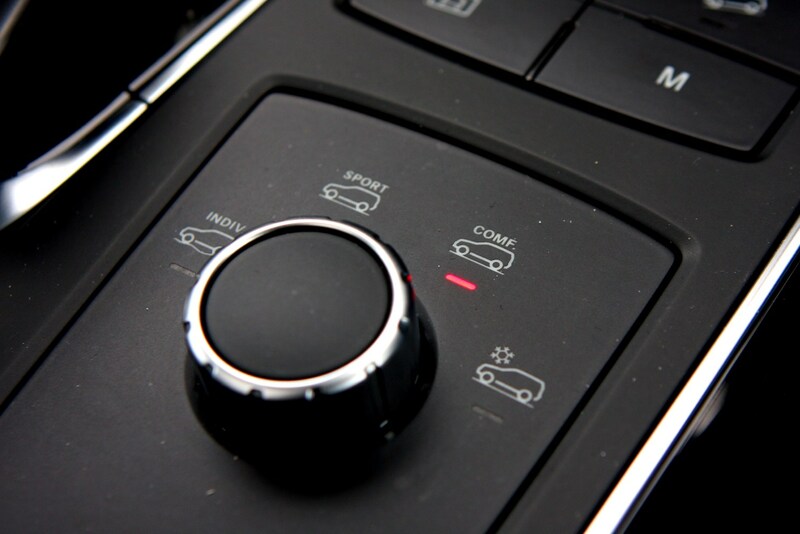 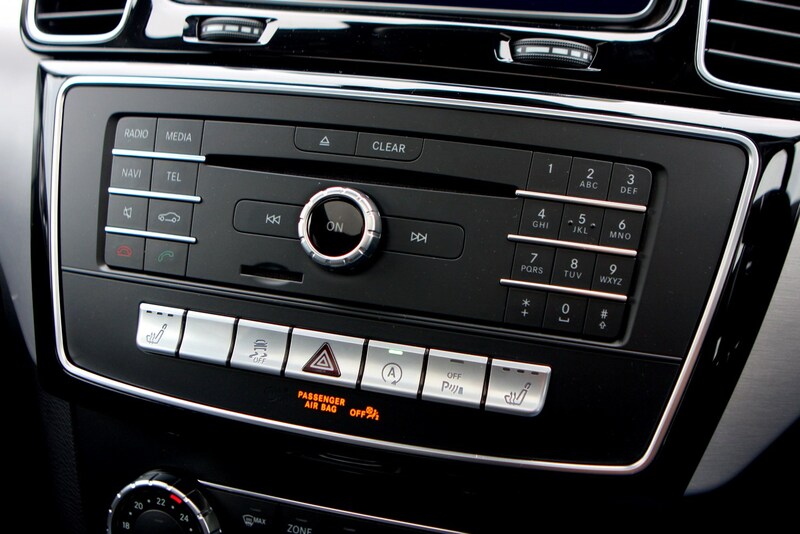 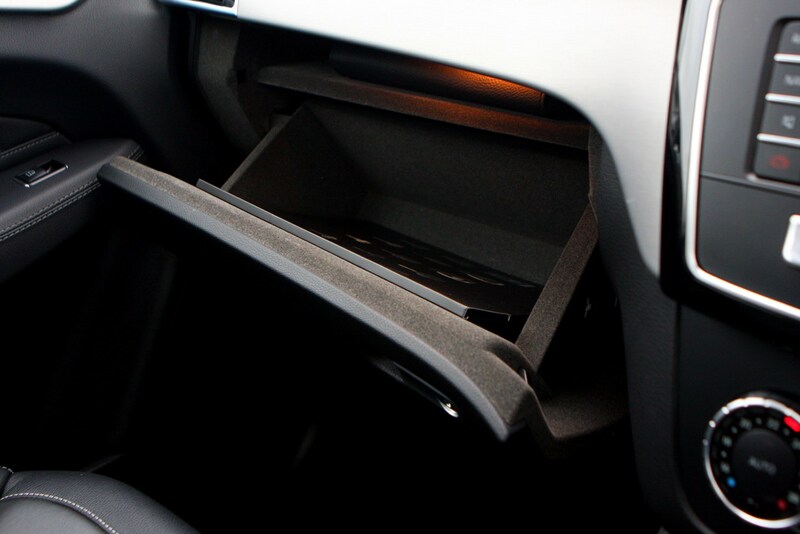 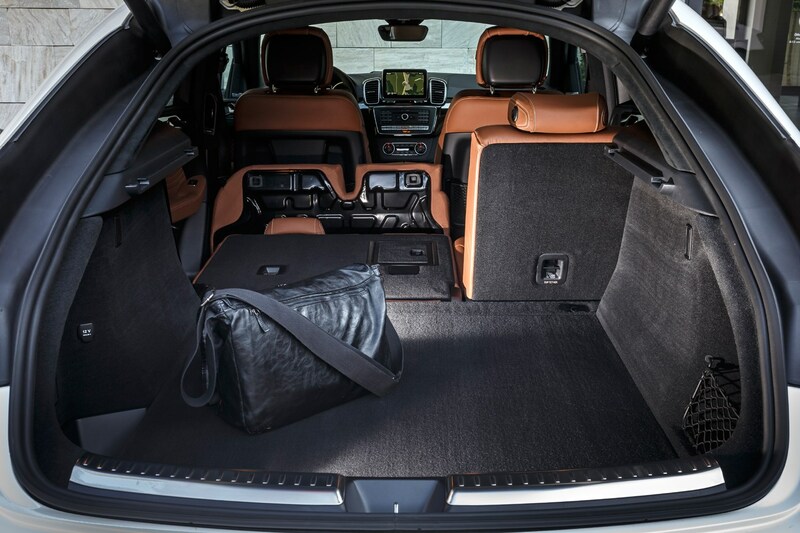 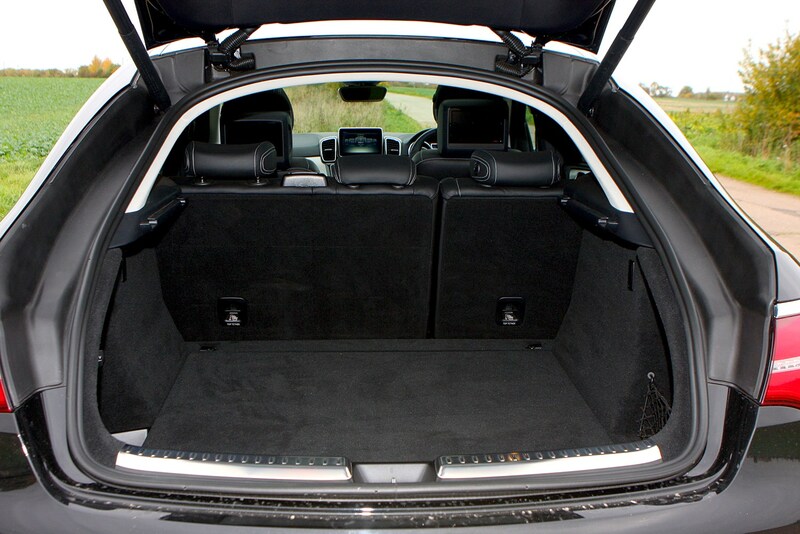 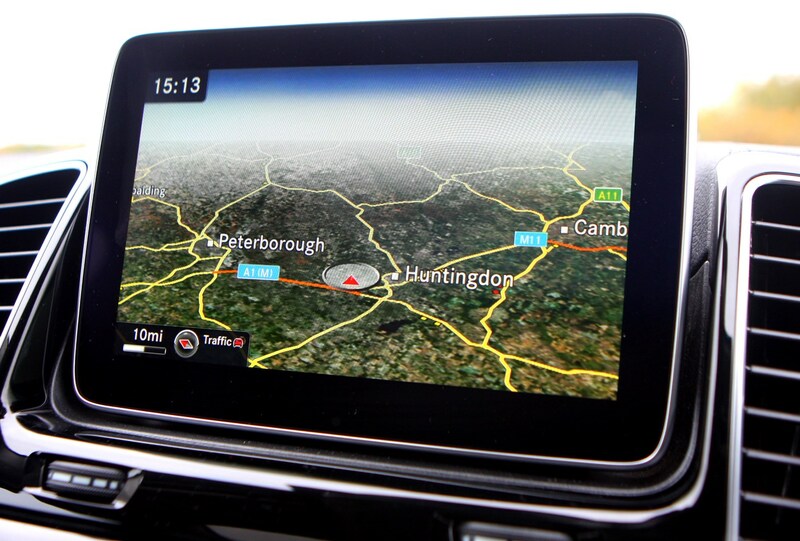 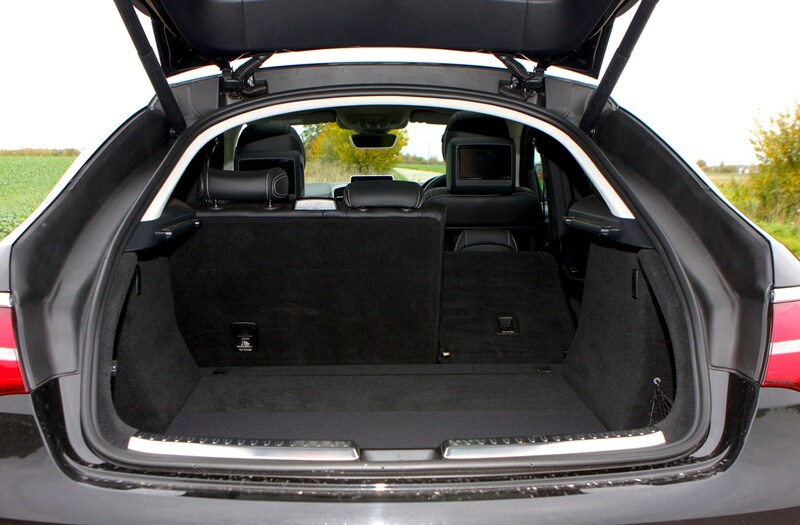 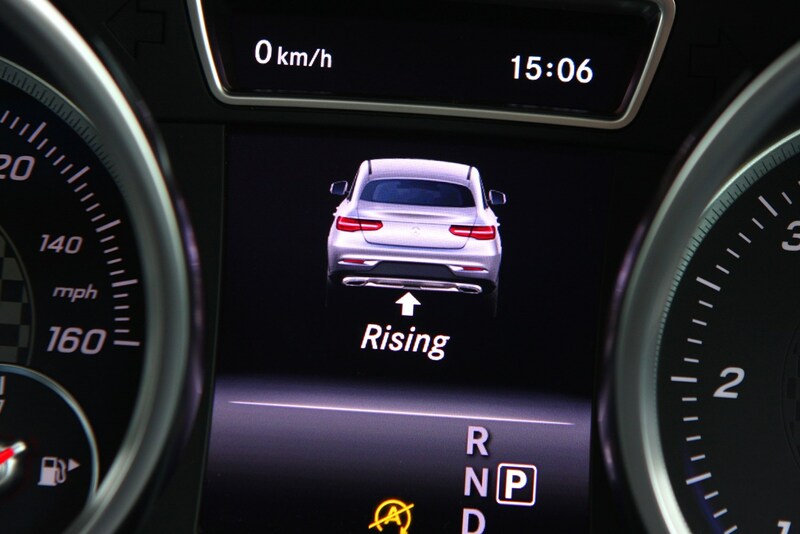 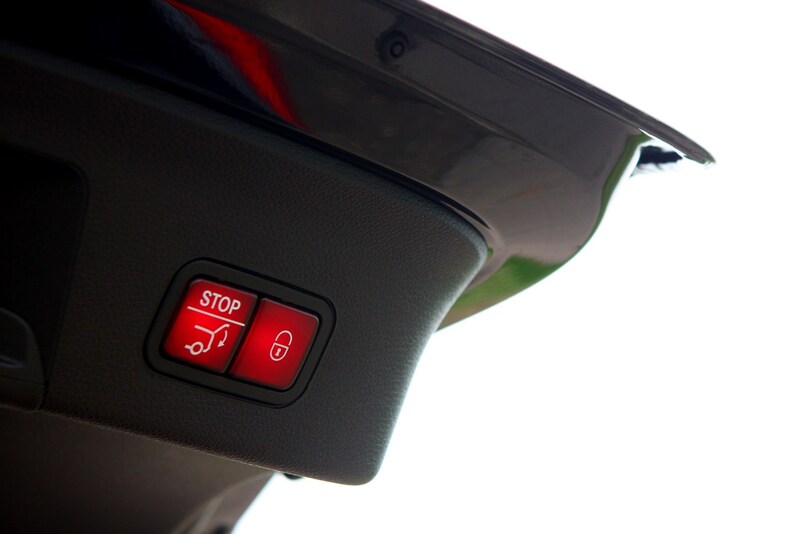 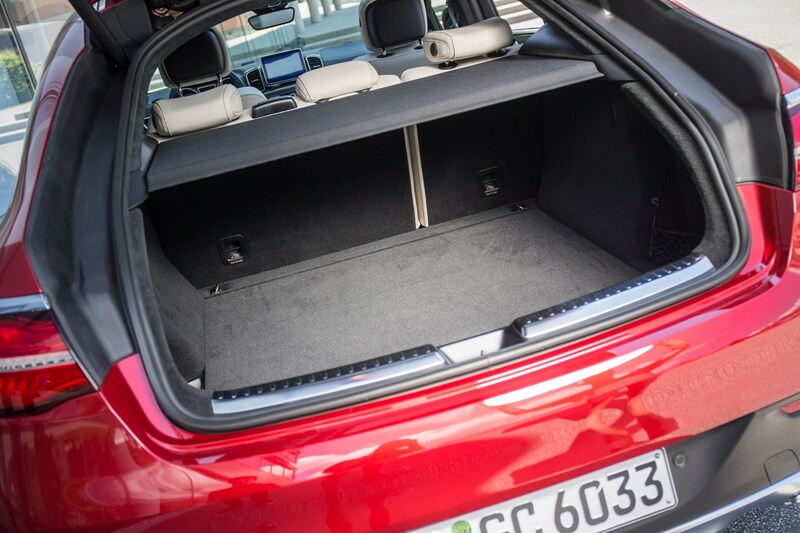 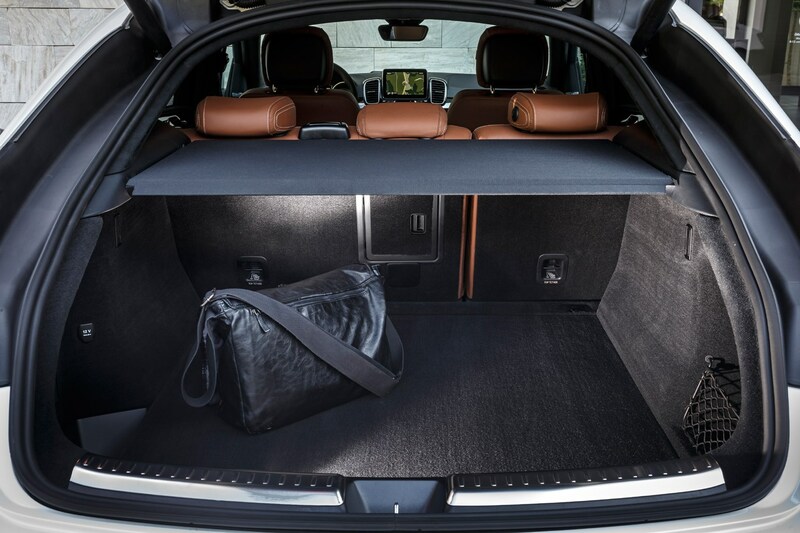 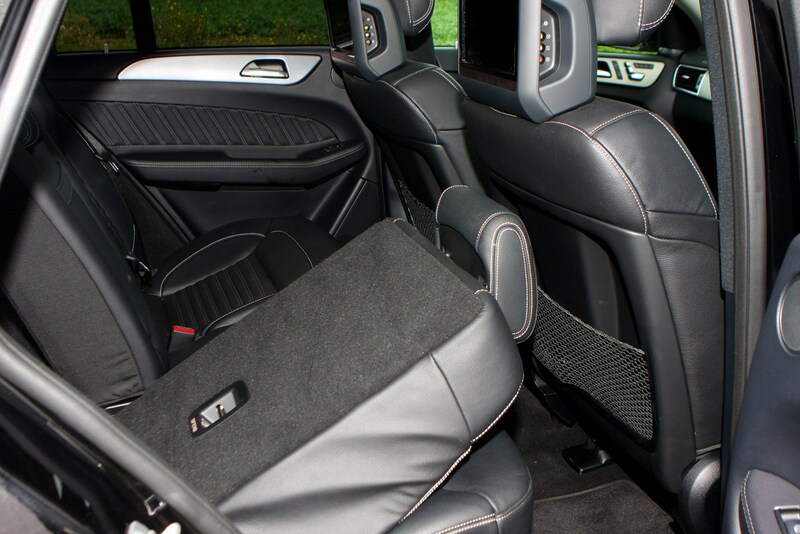 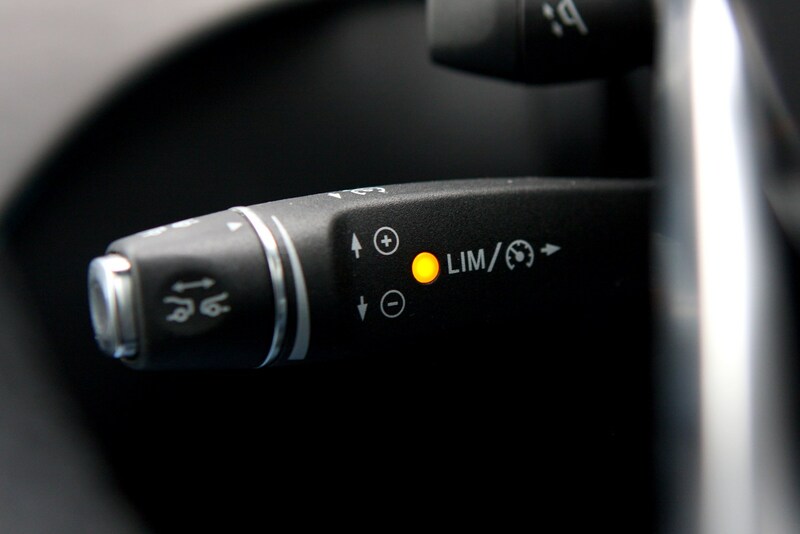 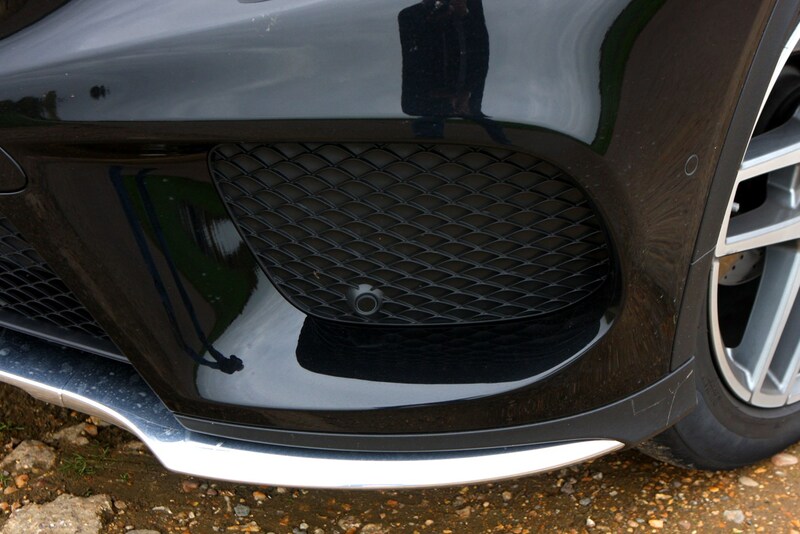 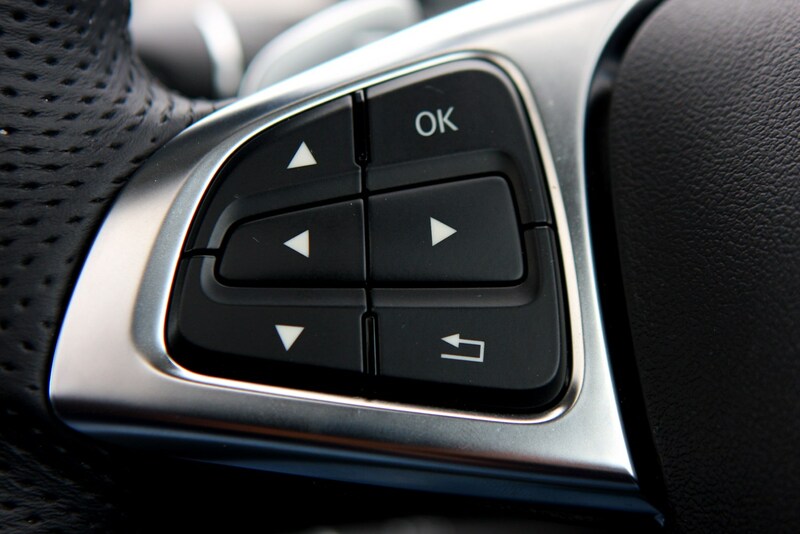 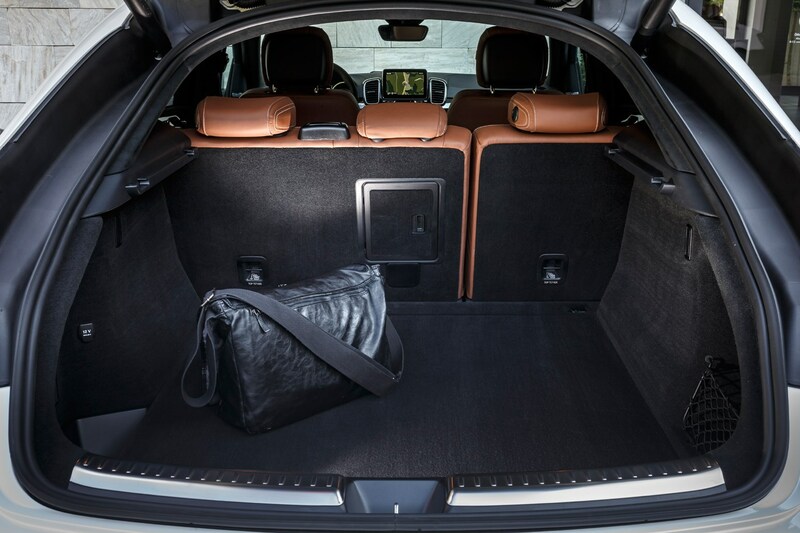 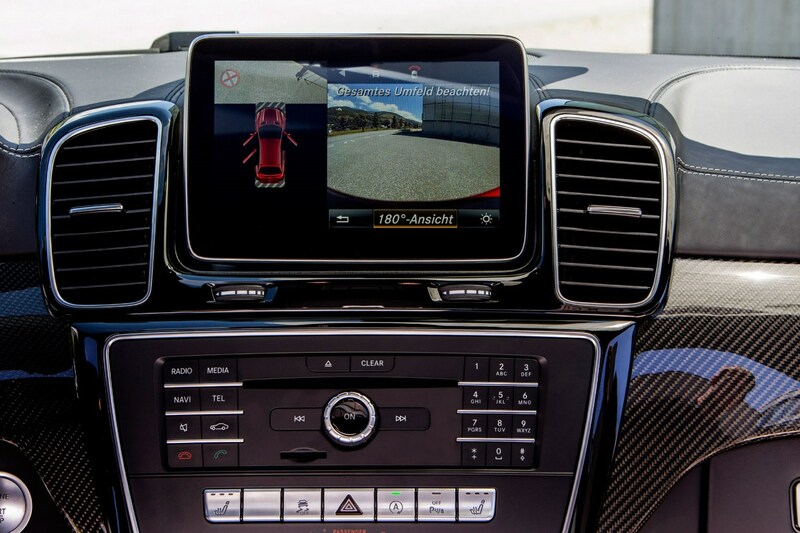 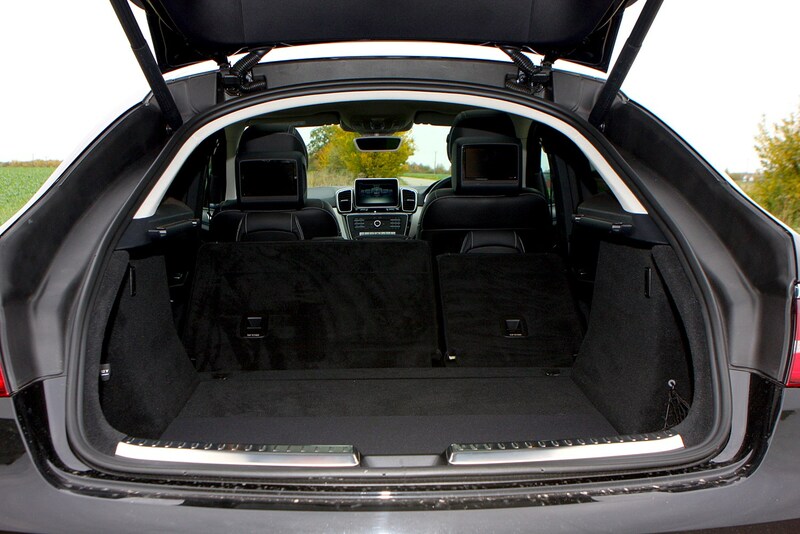 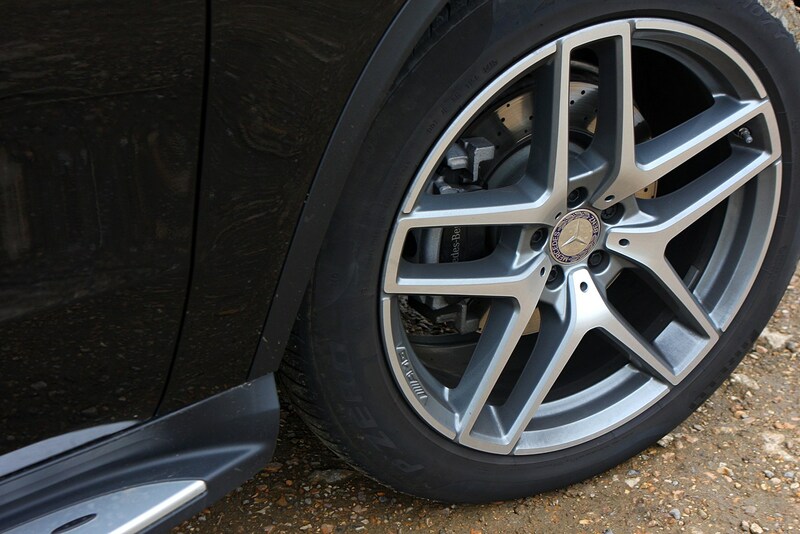 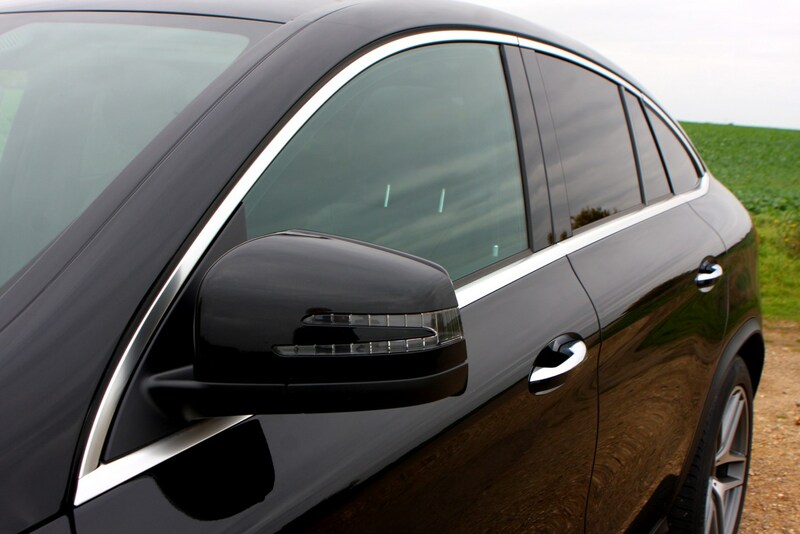 Other standard kit includes an automatic parking system (useful for a car so large), a powered tailgate, 21-inch alloy wheels, a reversing camera and LED lights. 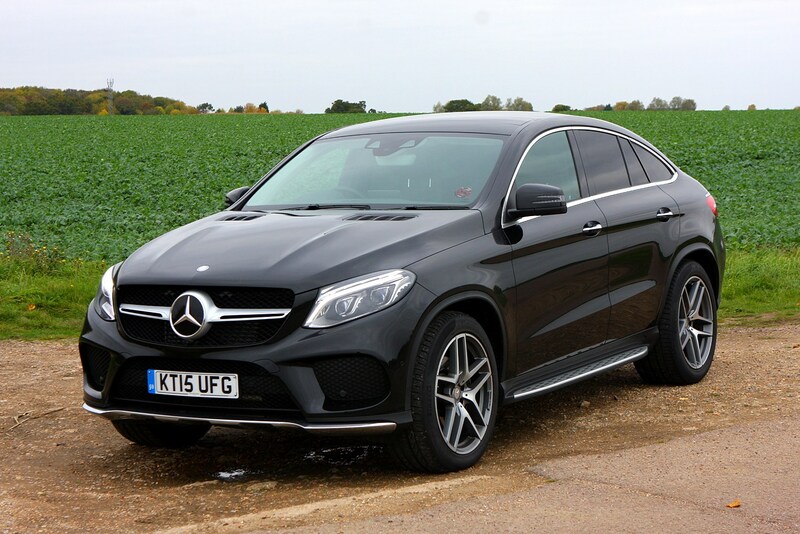 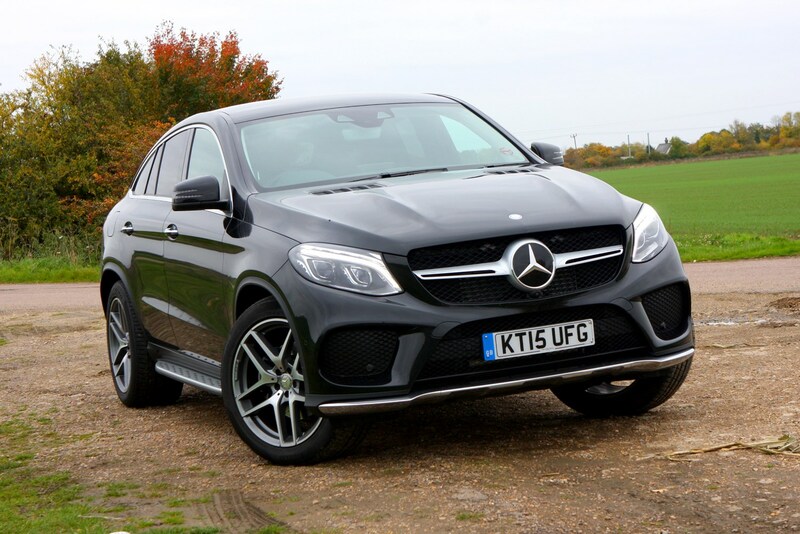 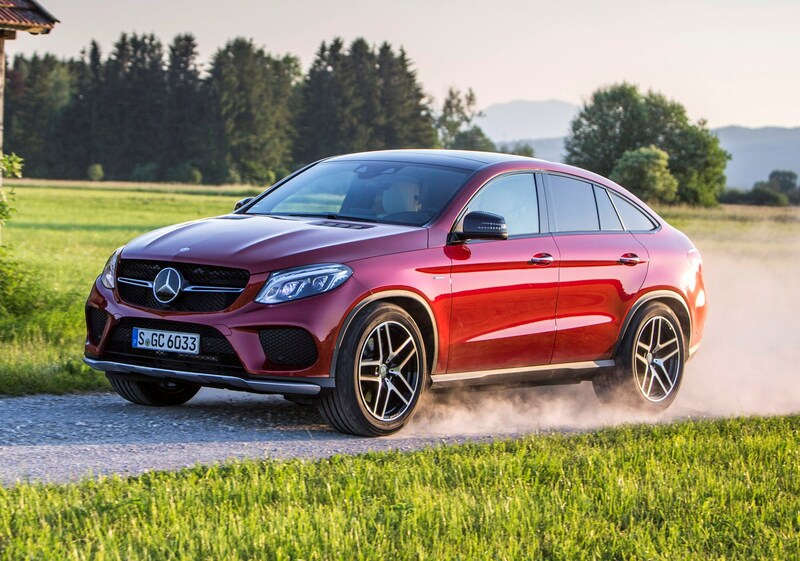 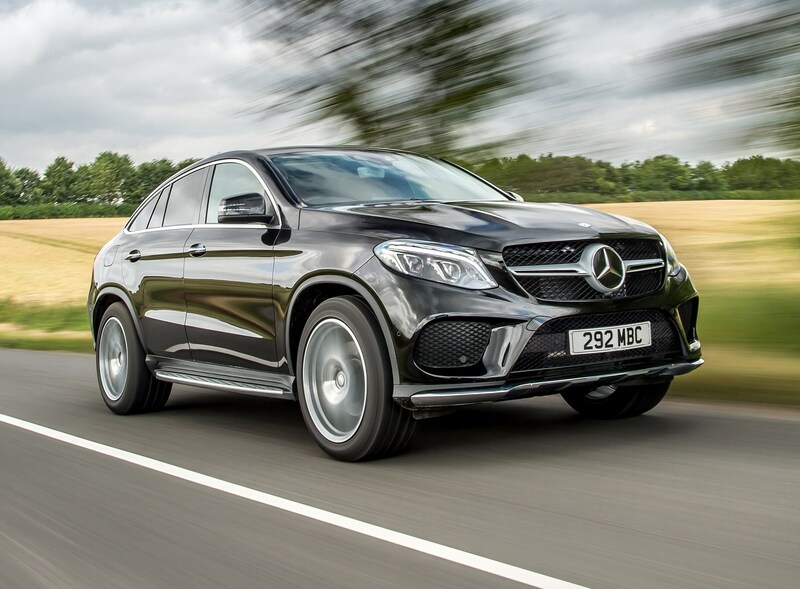 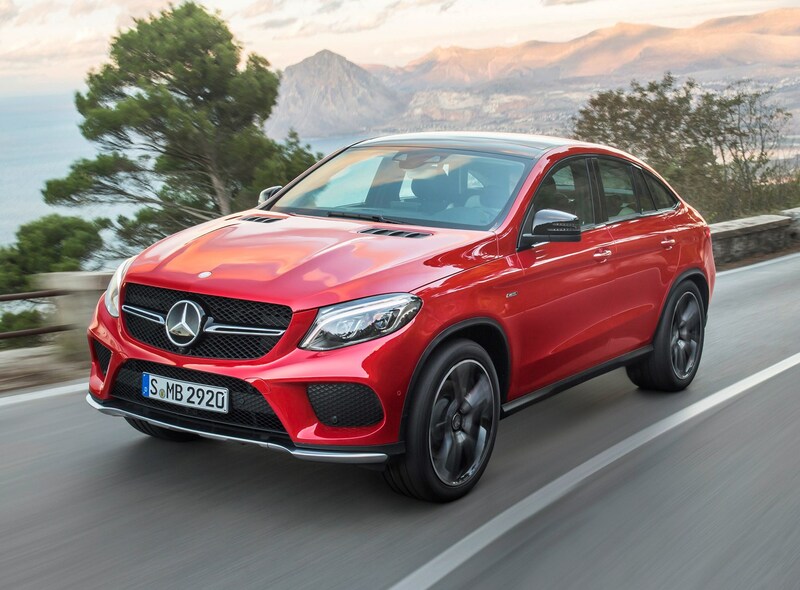 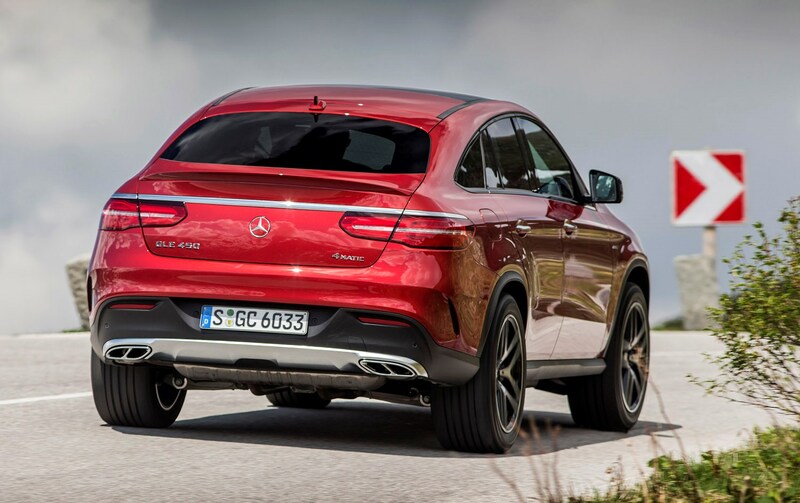 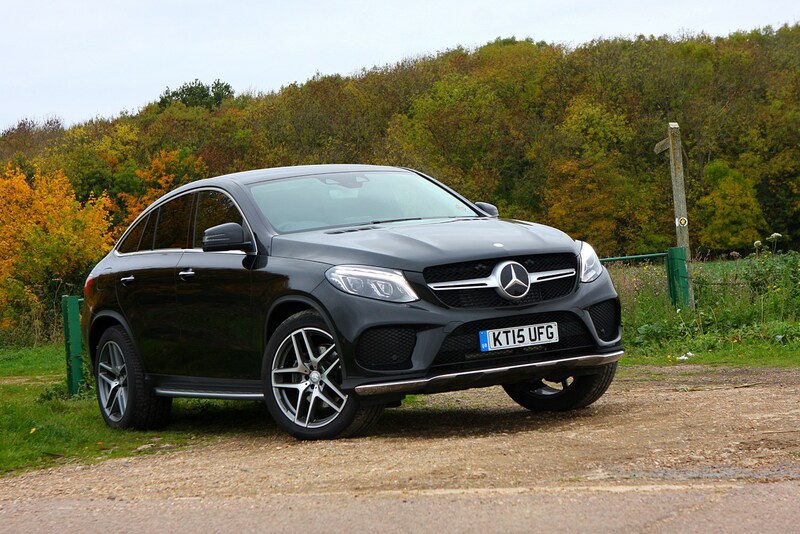 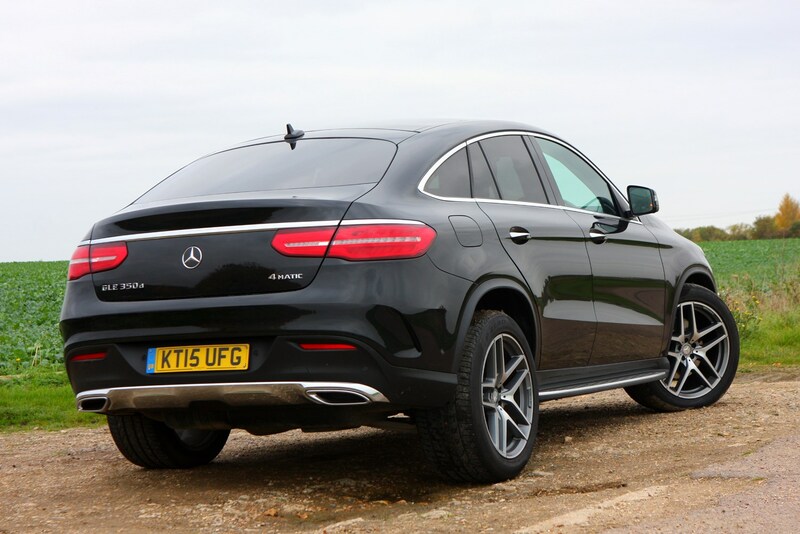 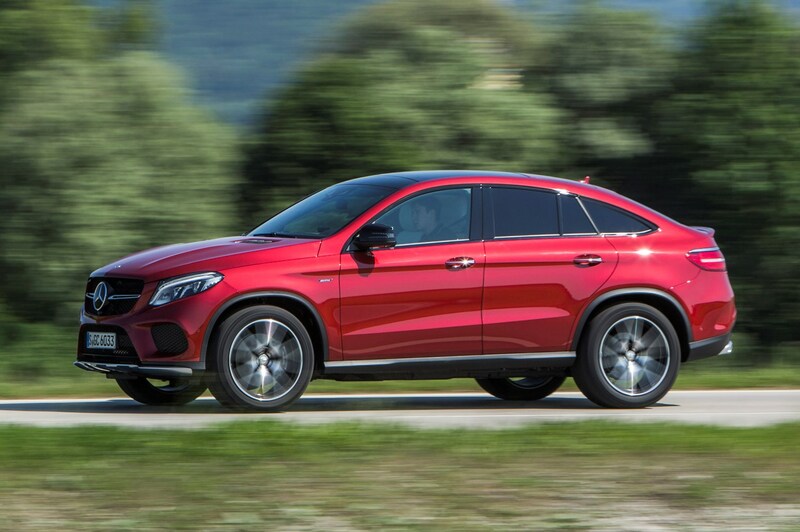 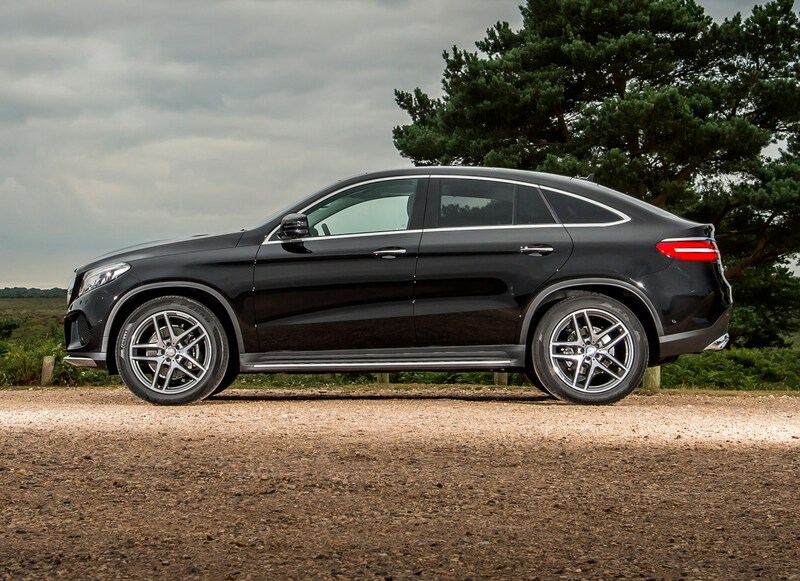 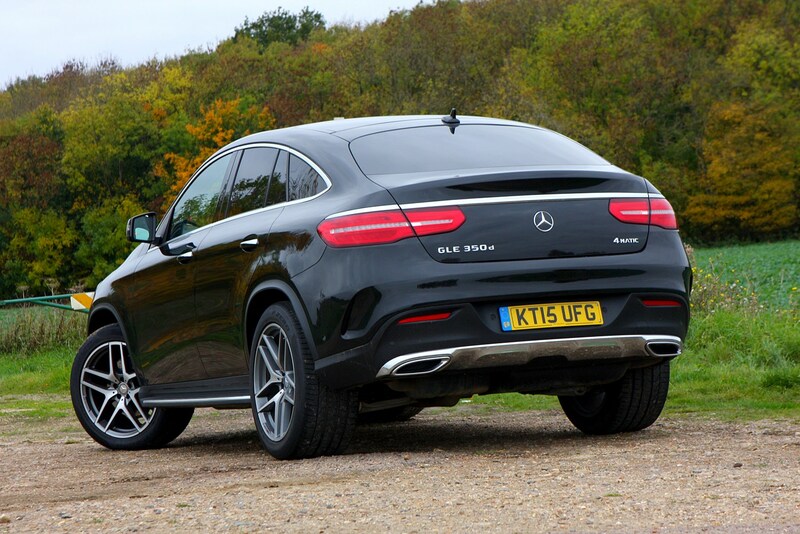 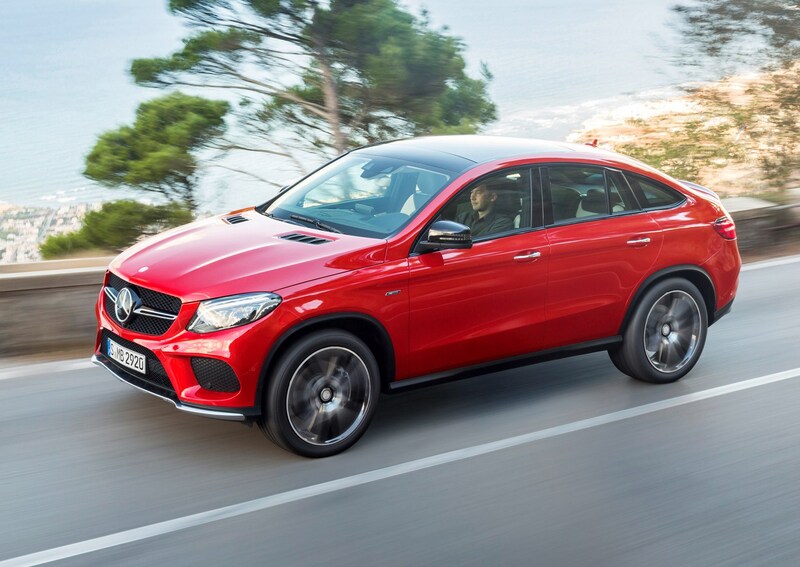 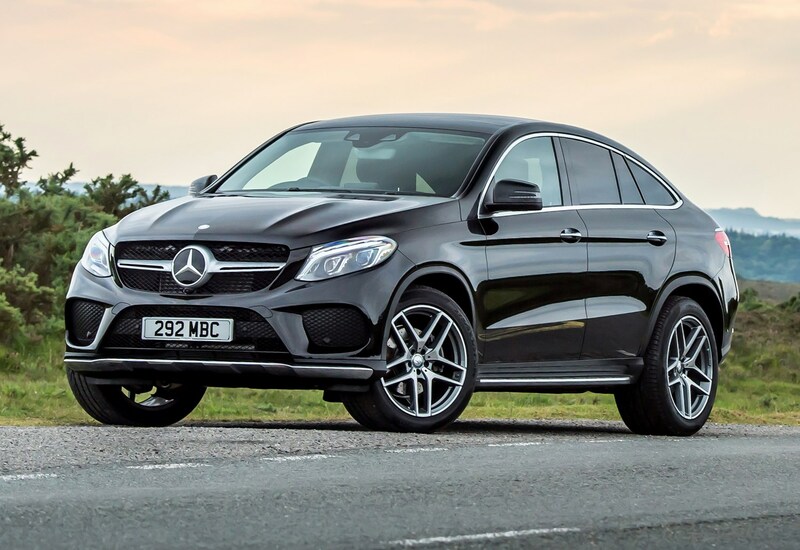 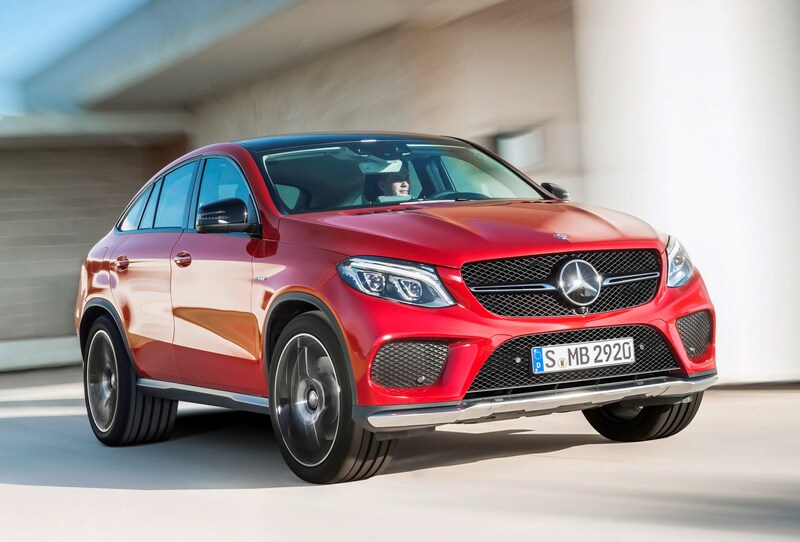 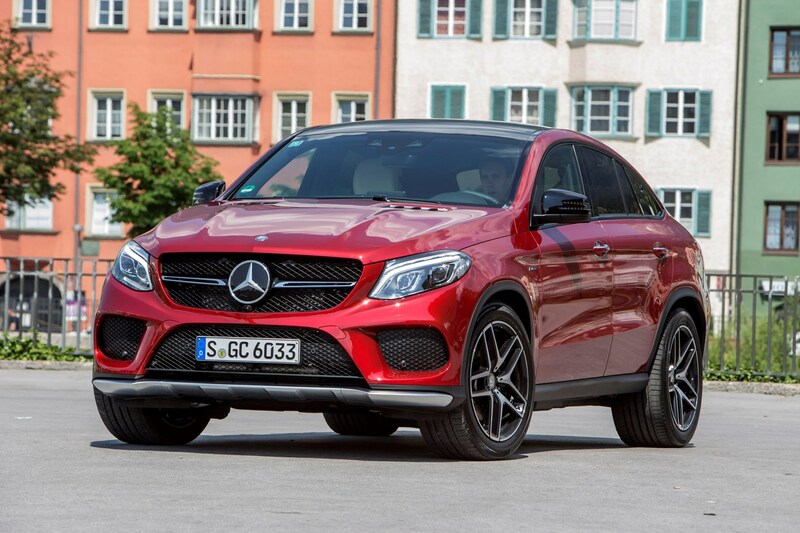 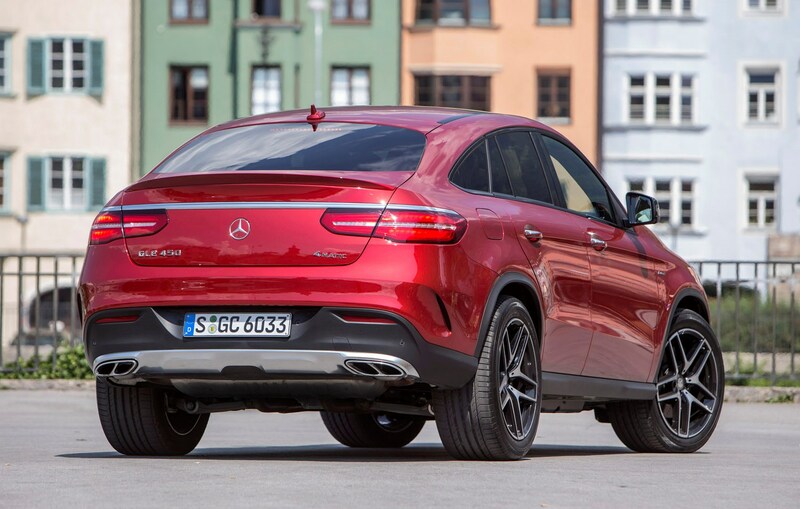 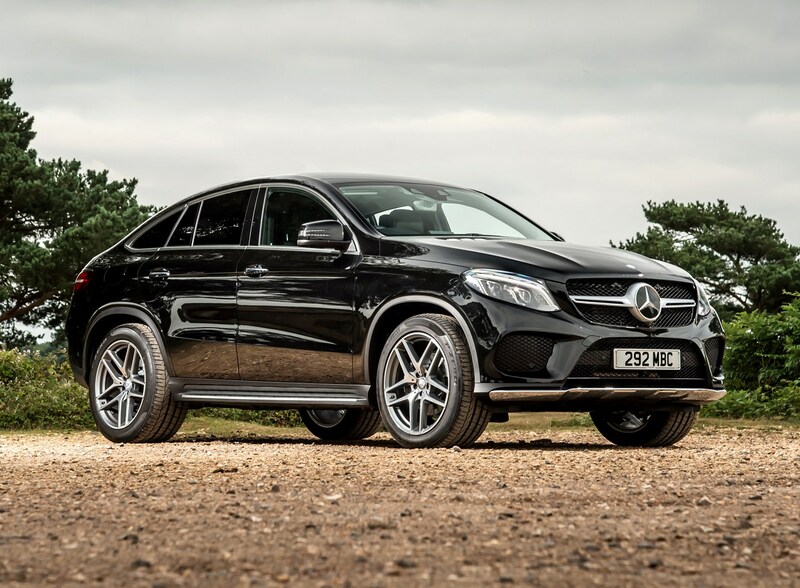 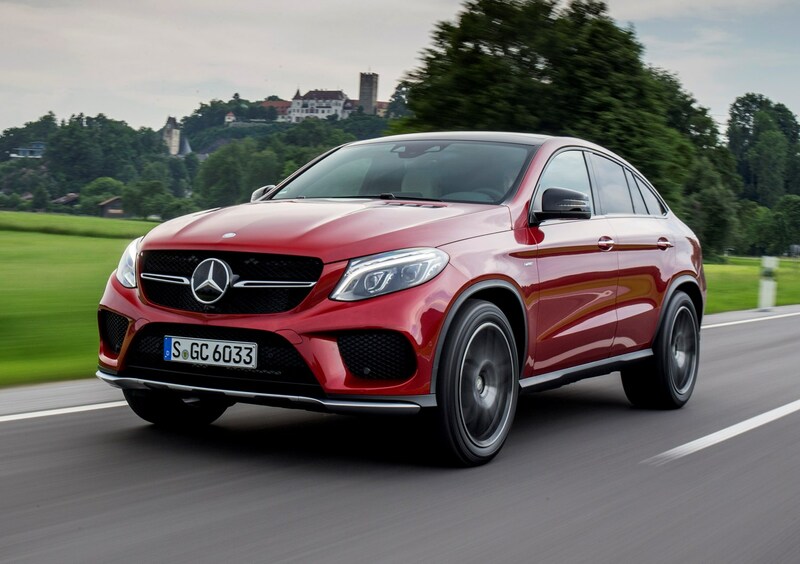 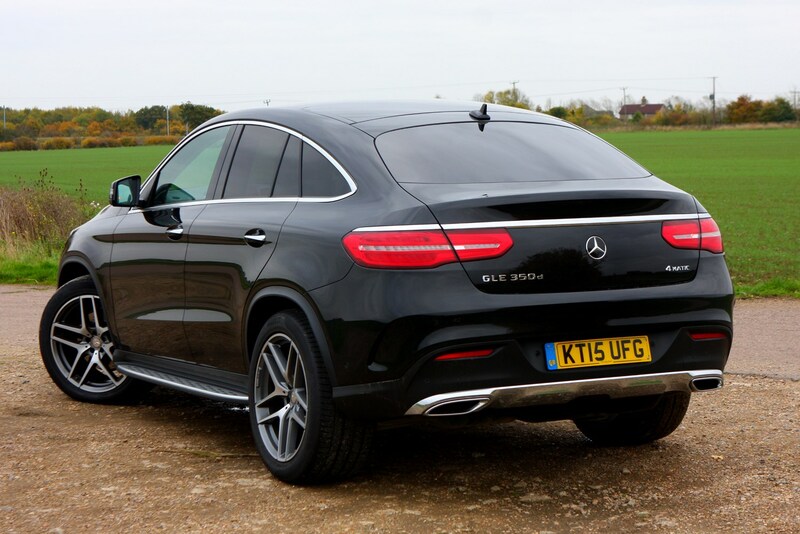 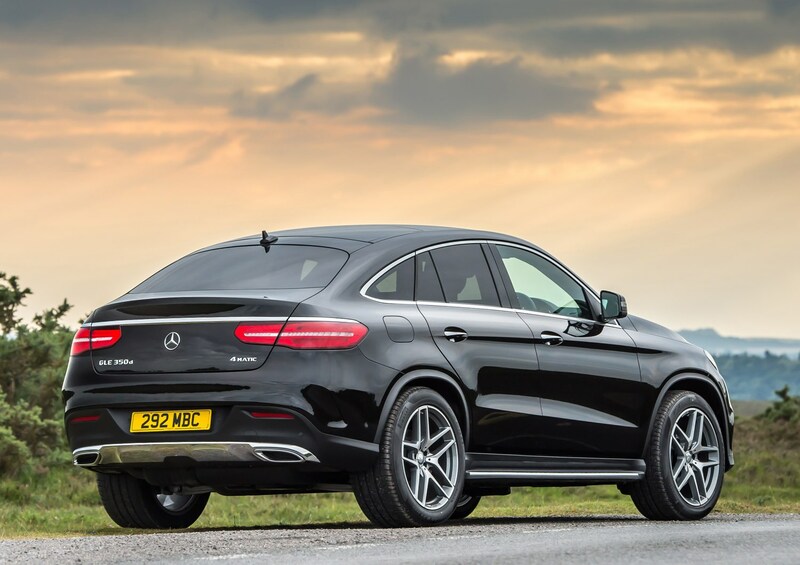 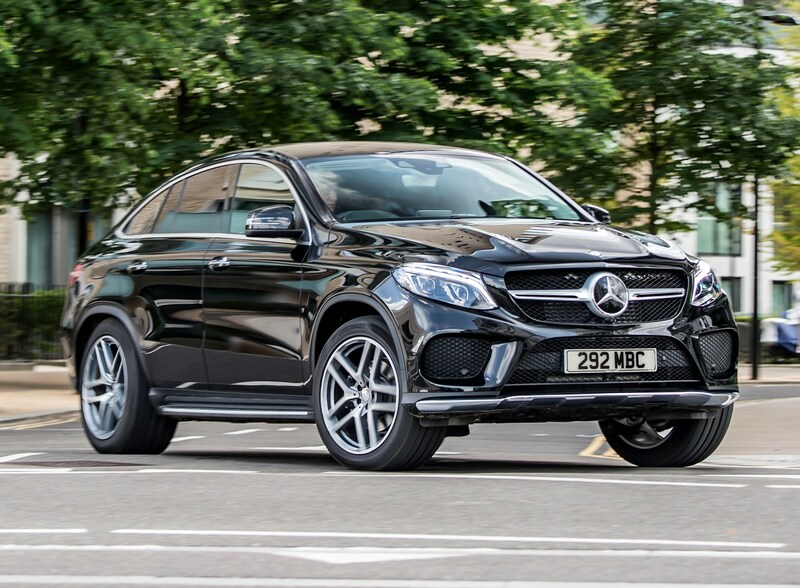 Read the full Parkers Mercedes-Benz GLE Coupe review to find out what we think about this intriguing newcomer. 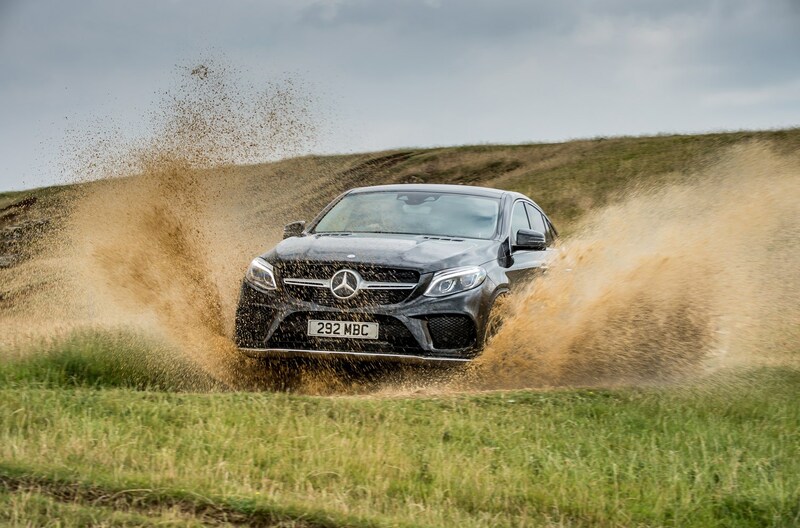 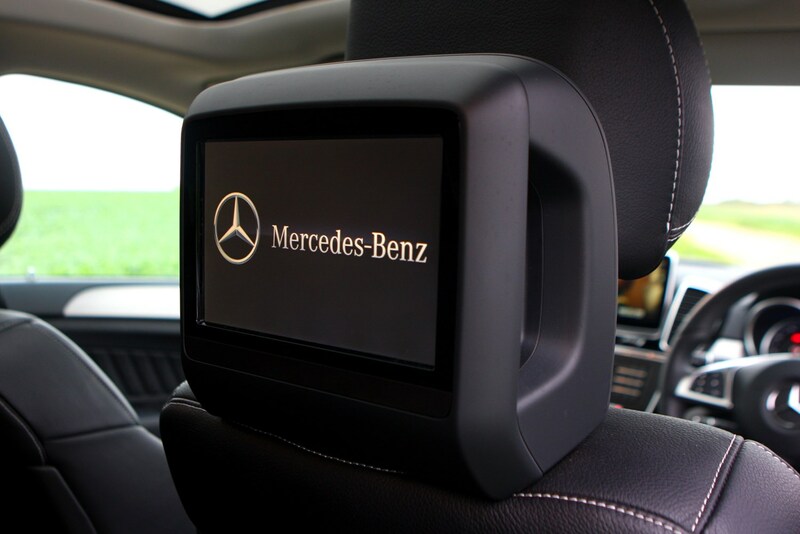 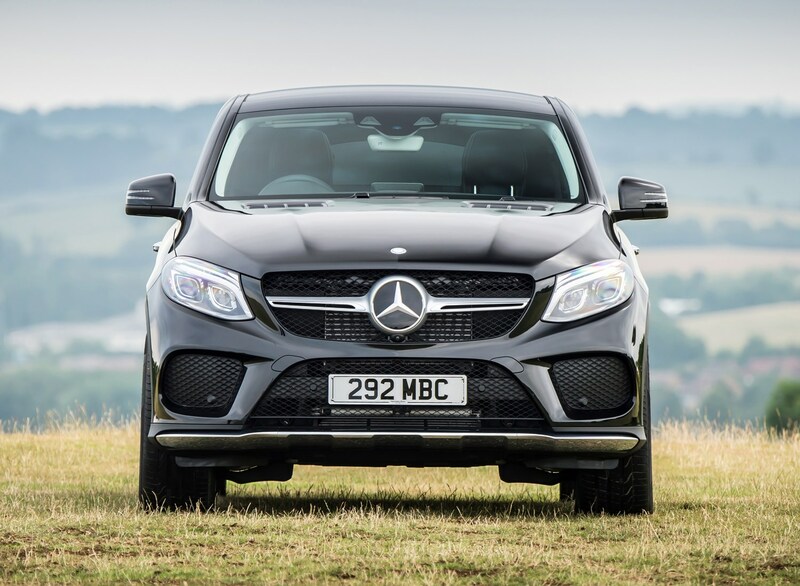 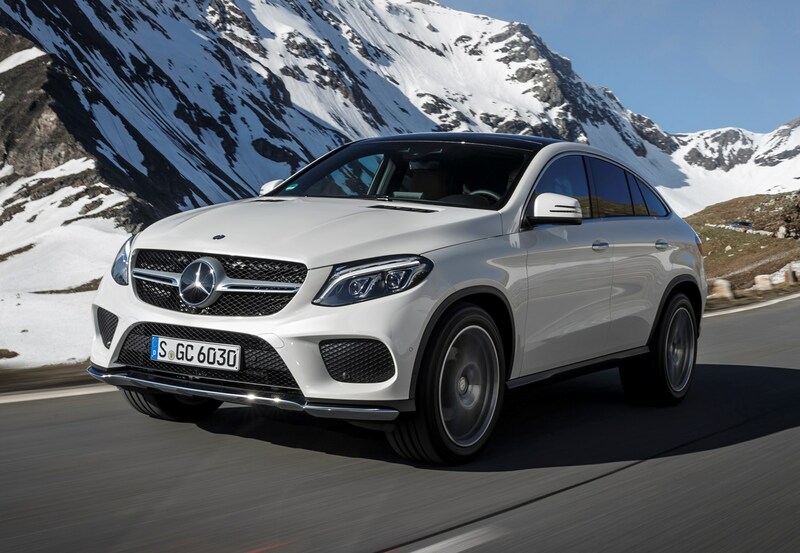 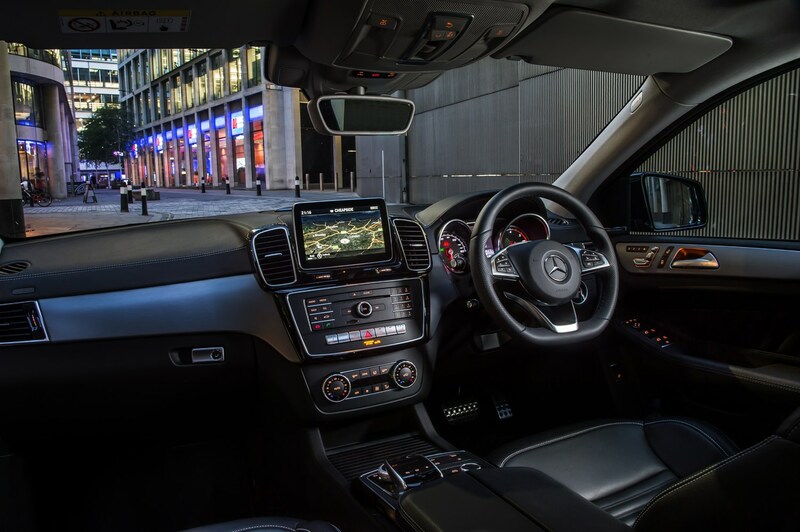 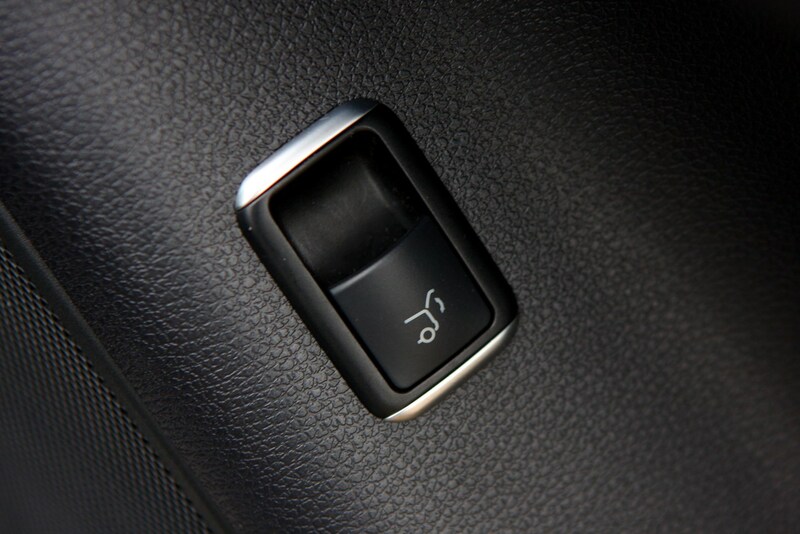 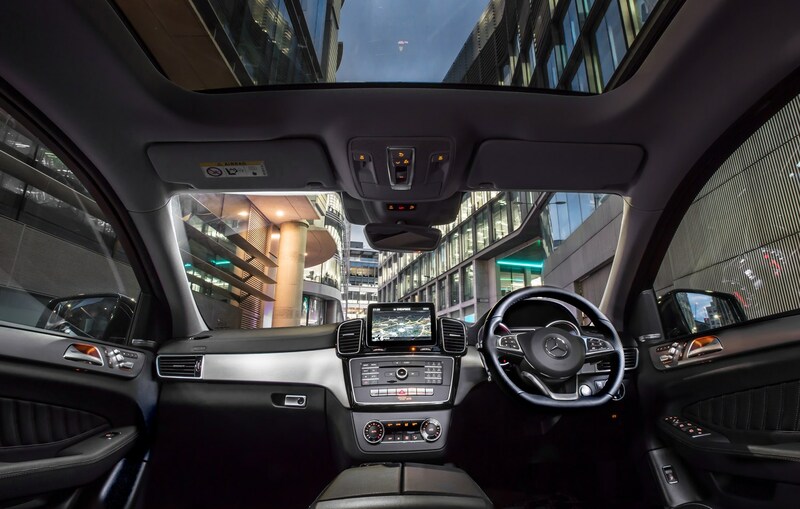 Did you know the most popular review for the GLE-Class range is the Mercedes-Benz GLE-Class 4x4 review.